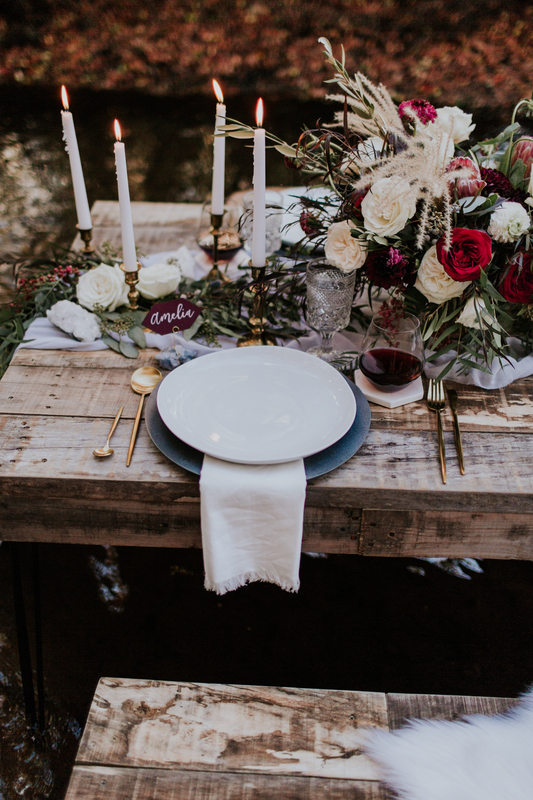 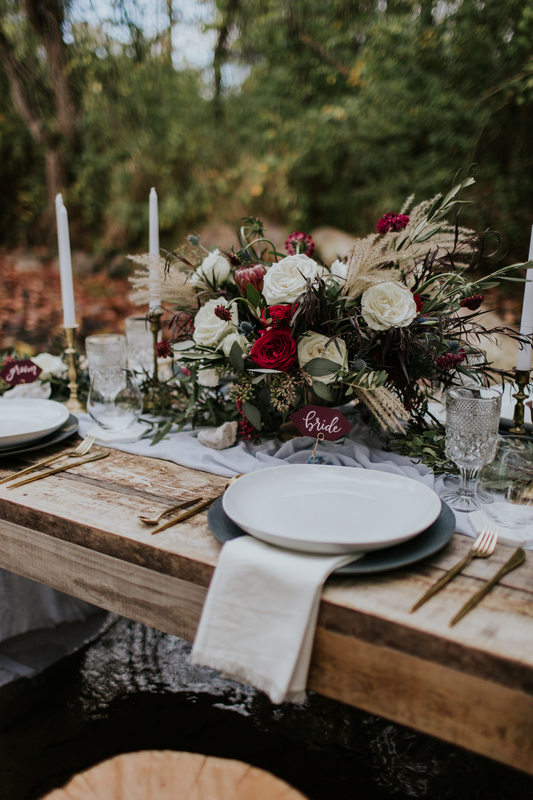 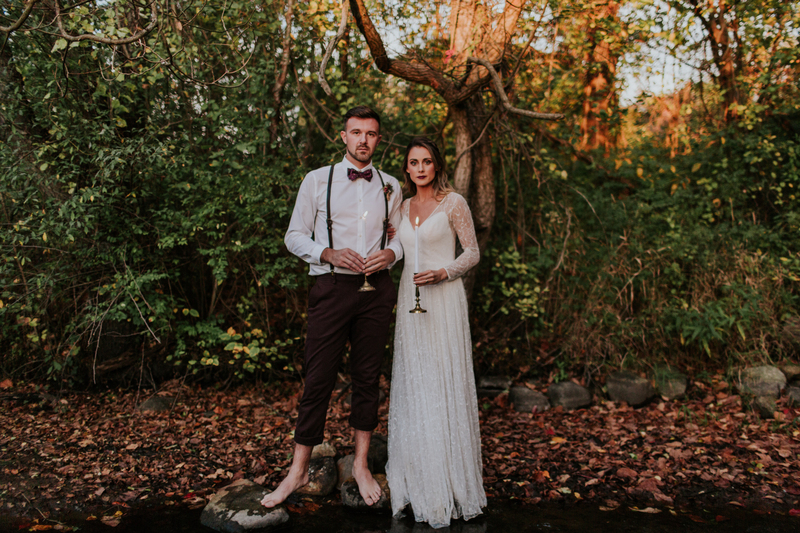 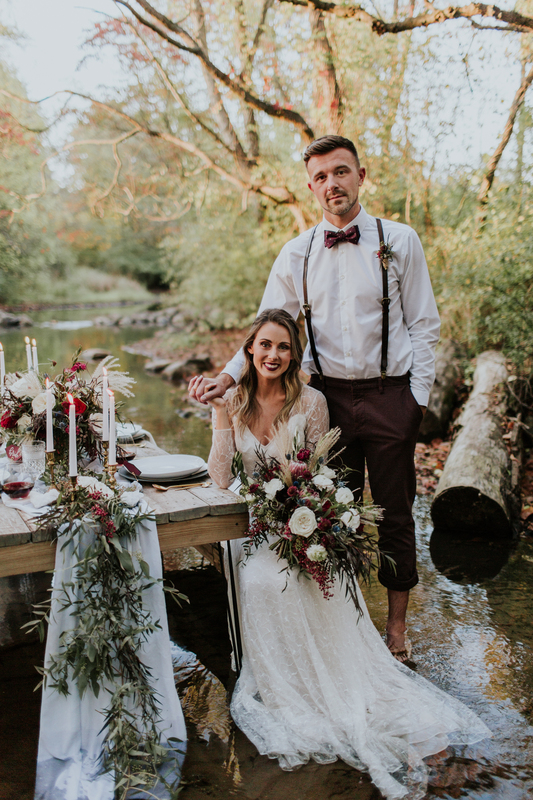 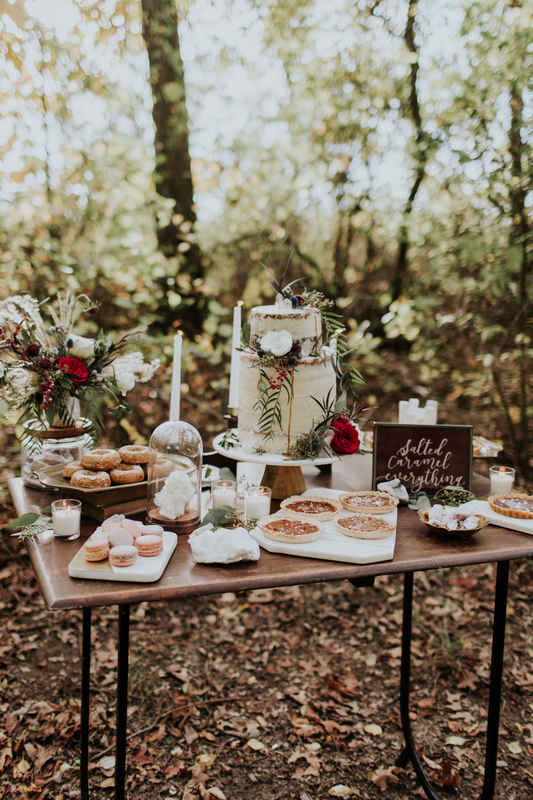 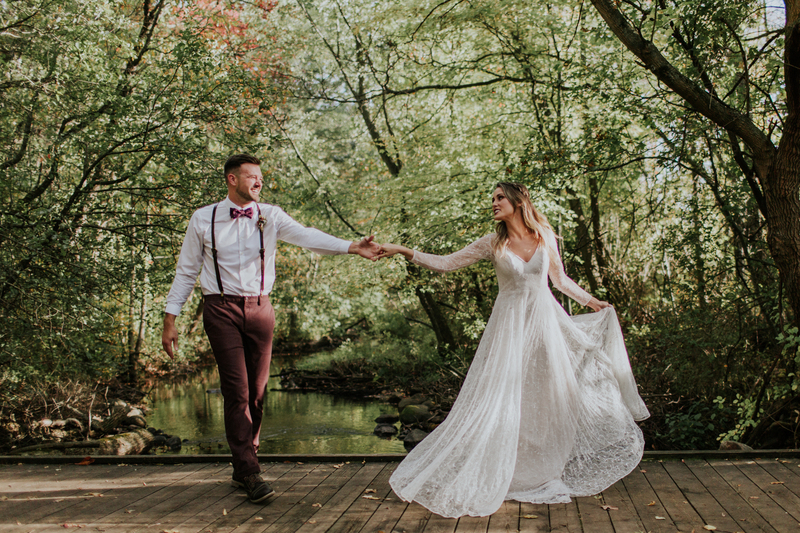 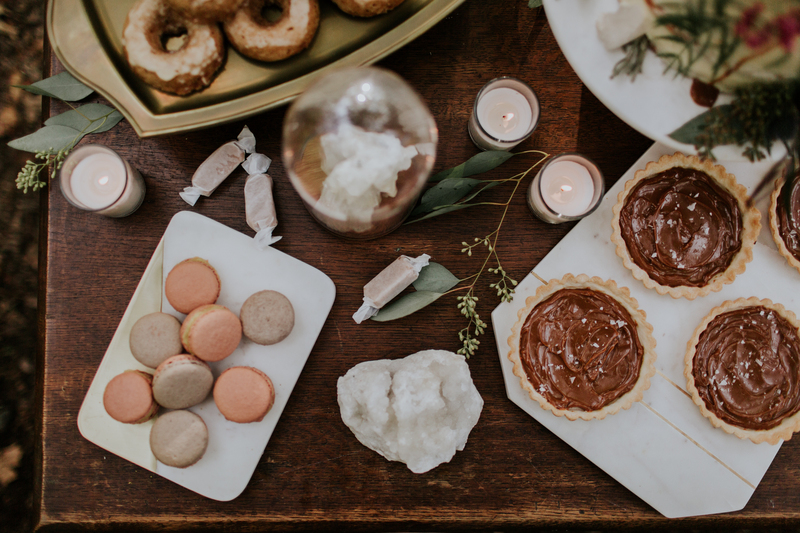 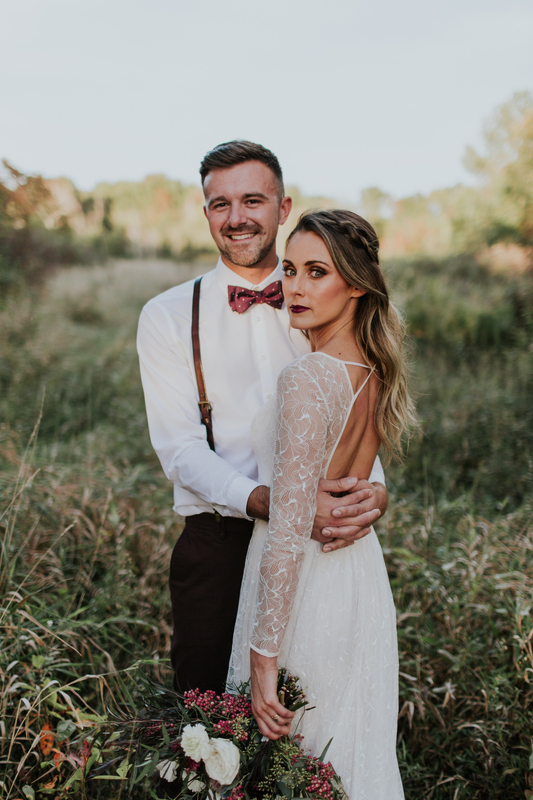 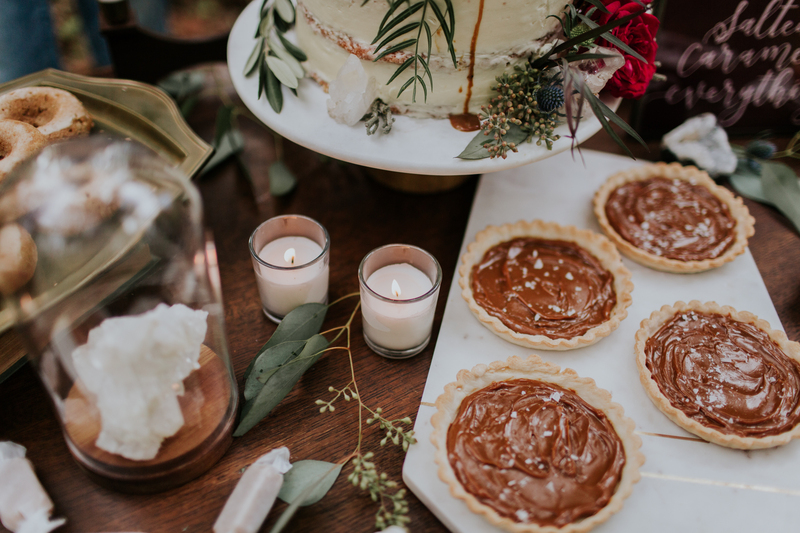 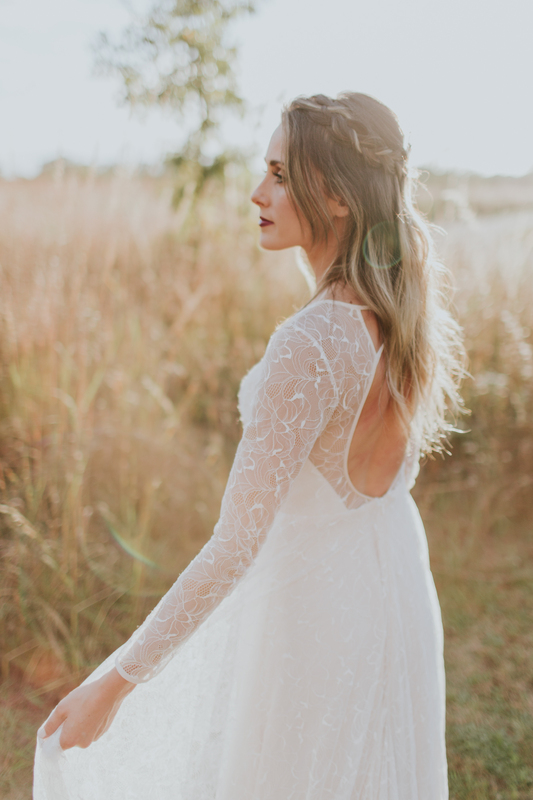 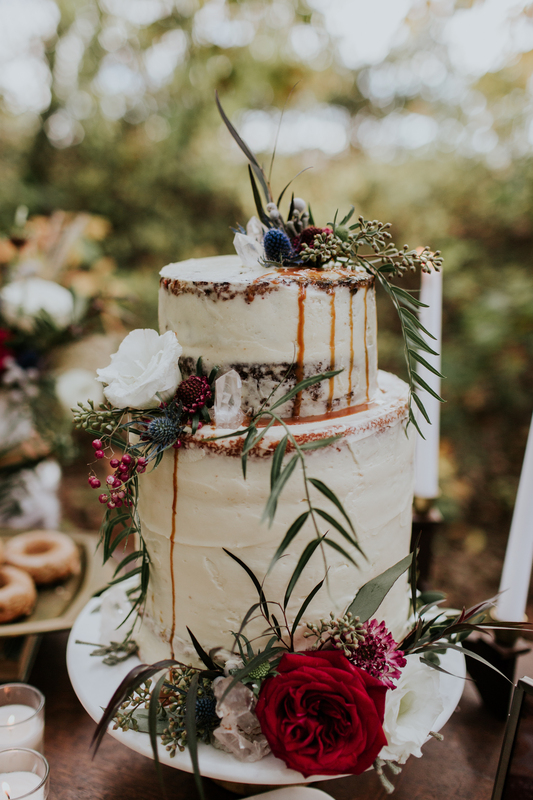 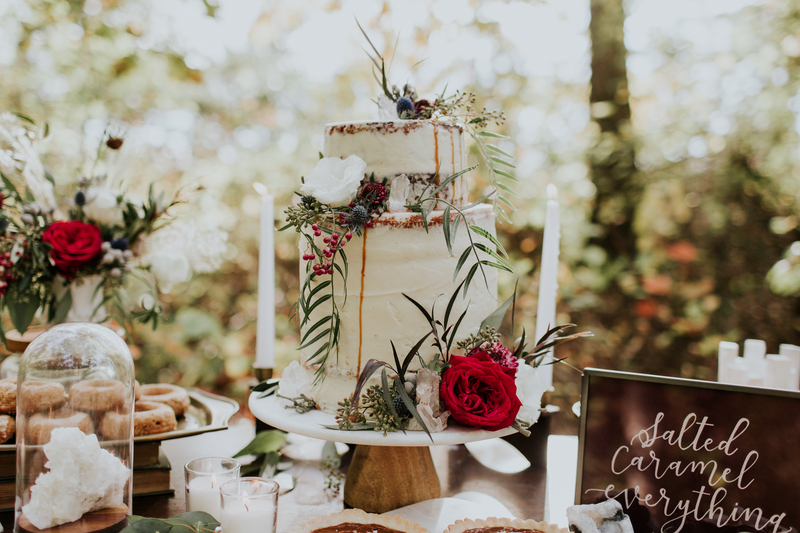 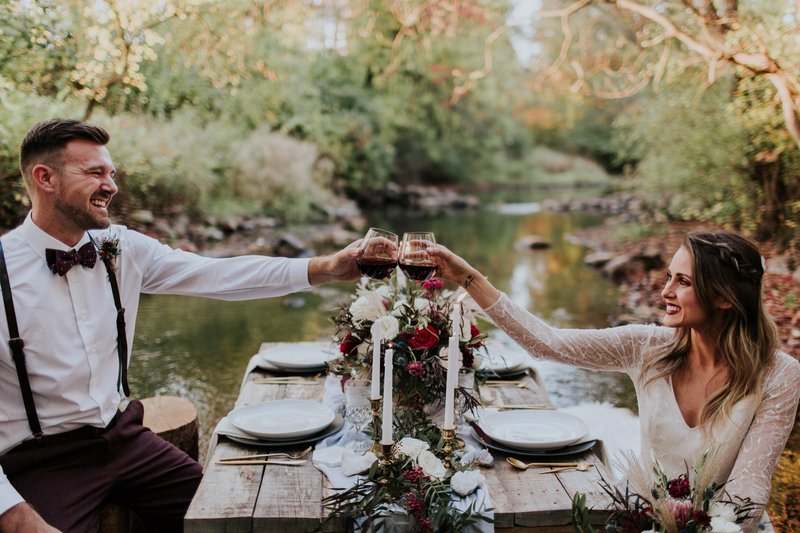 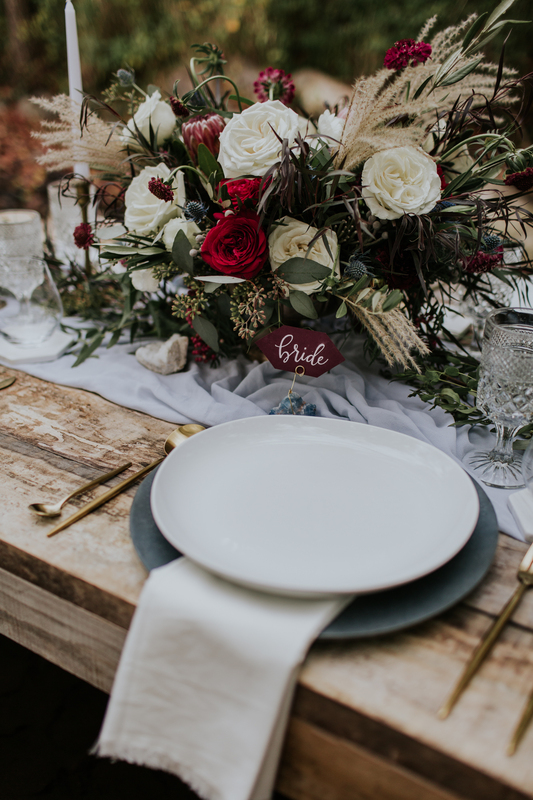 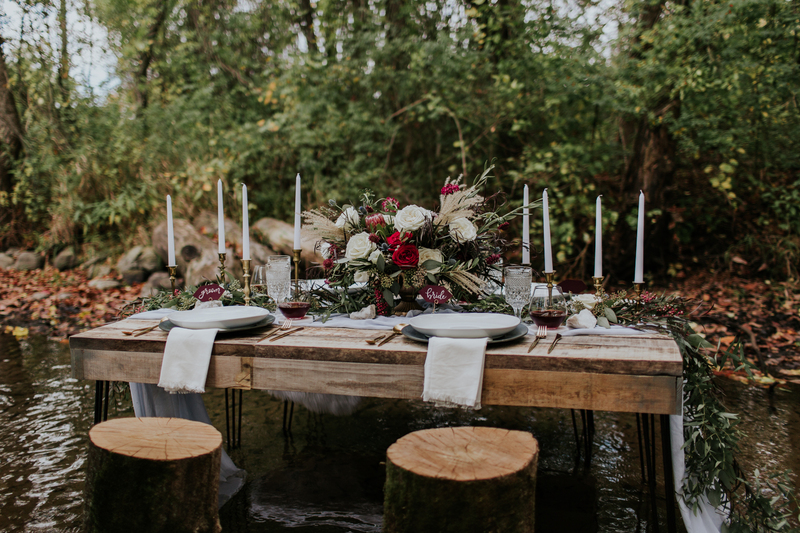 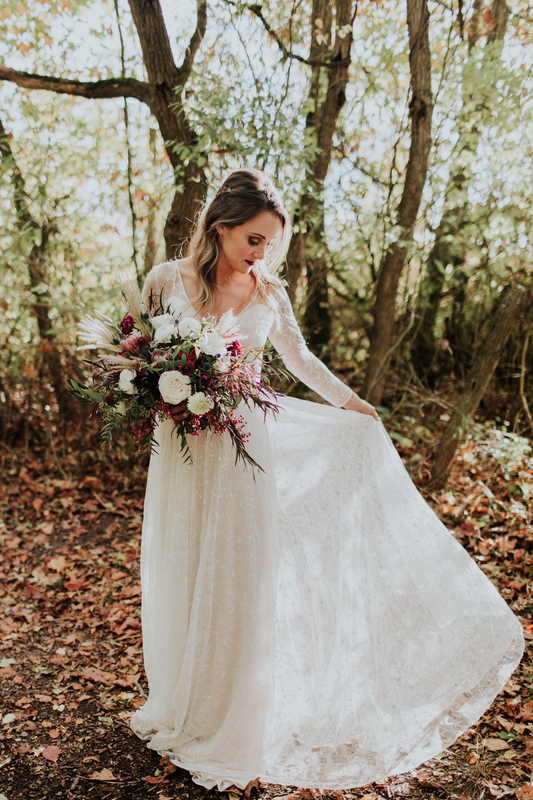 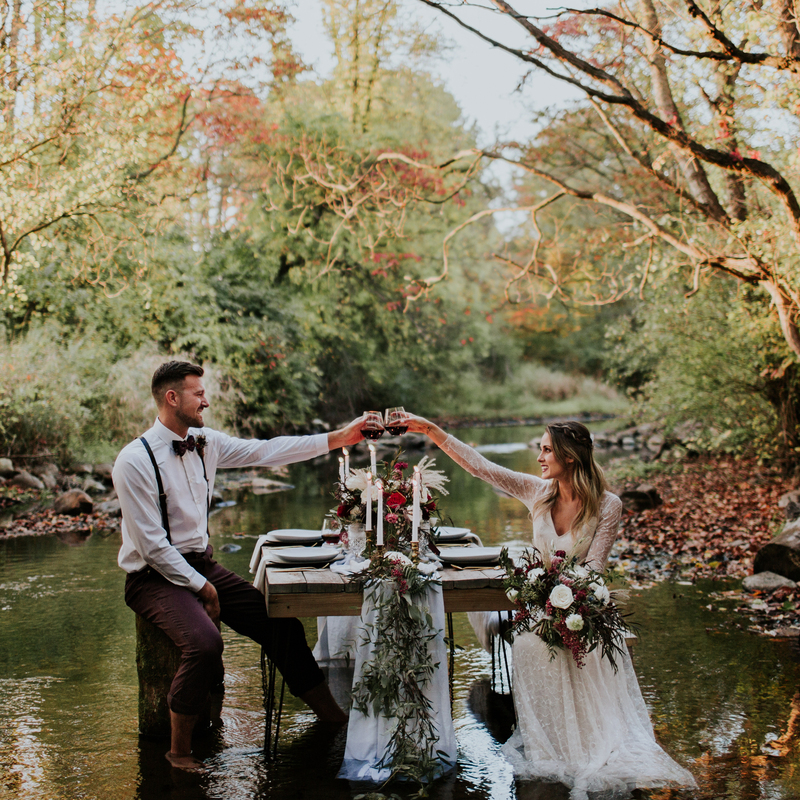 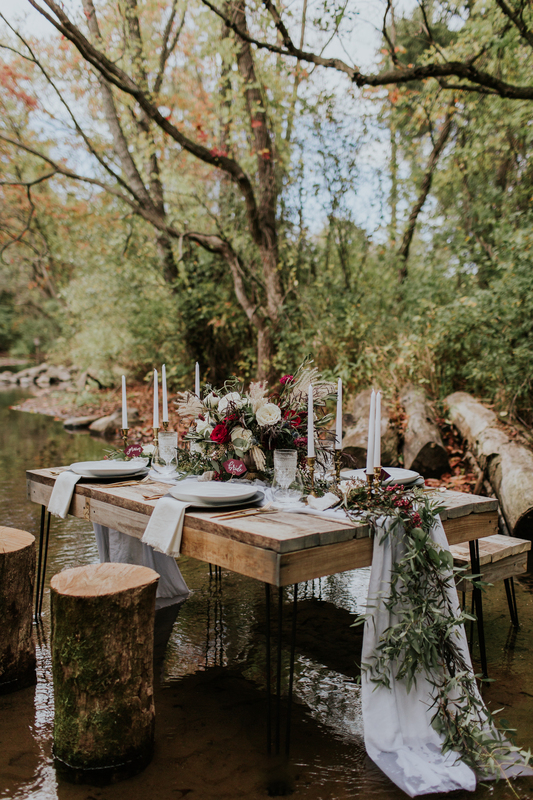 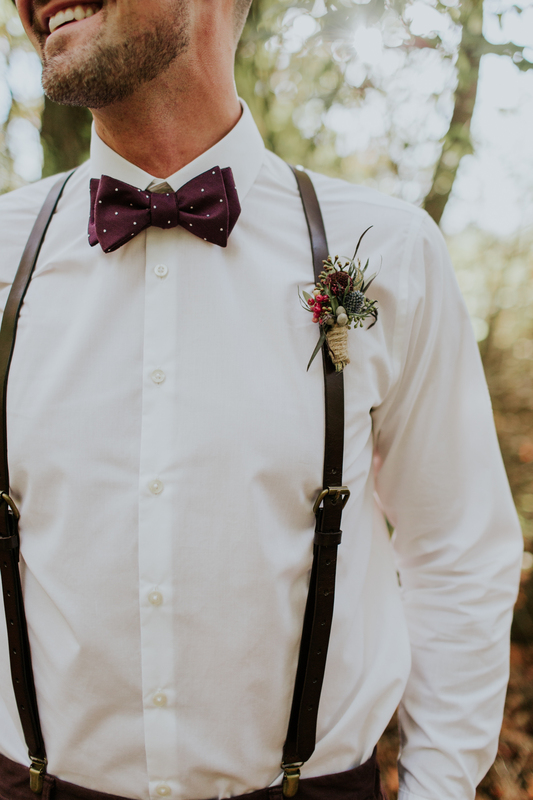 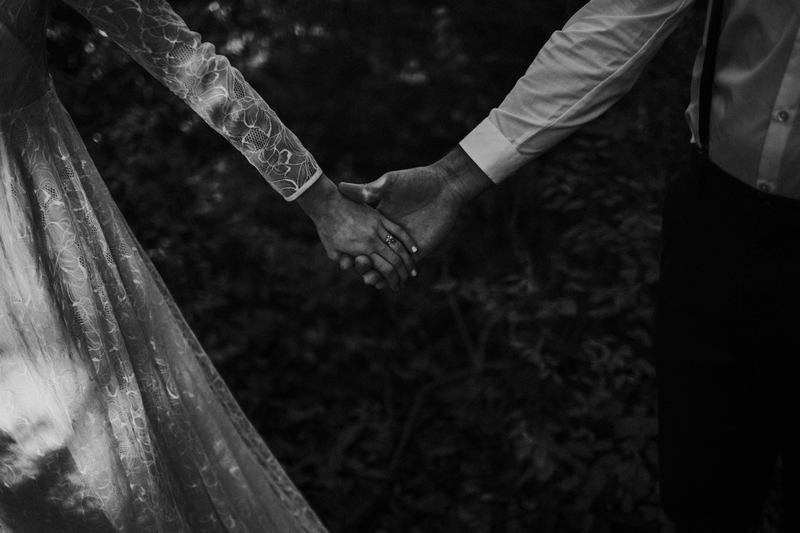 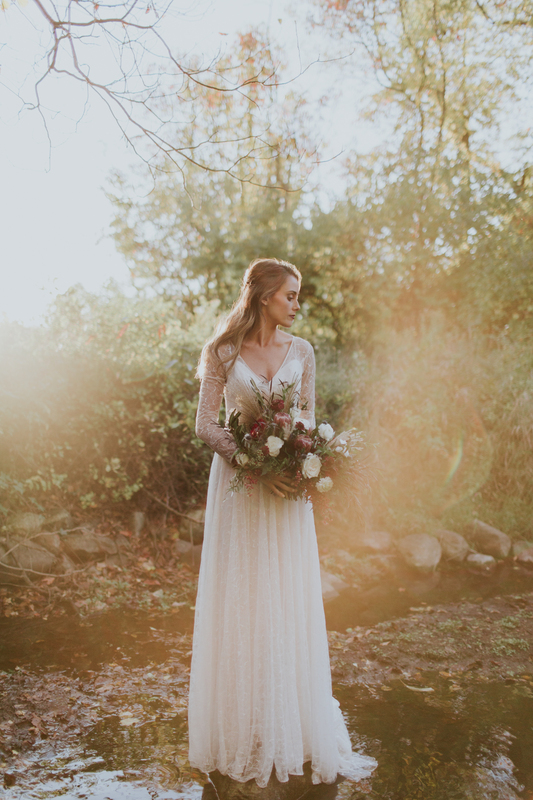 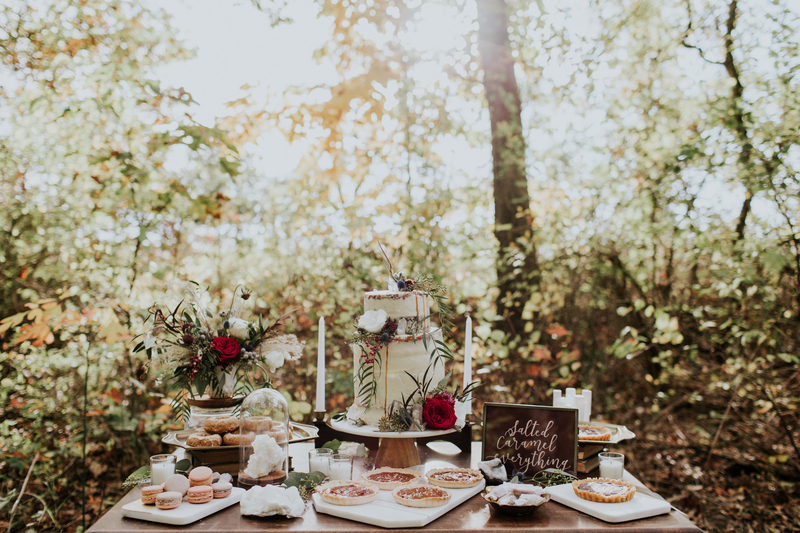 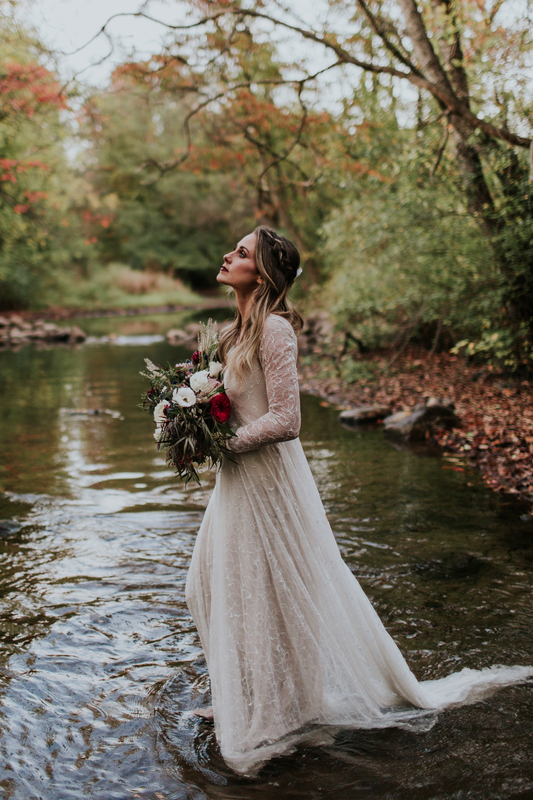 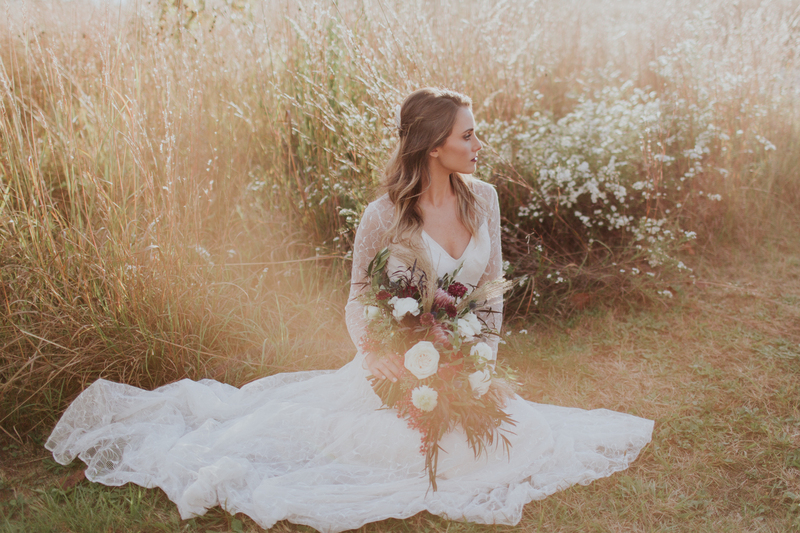 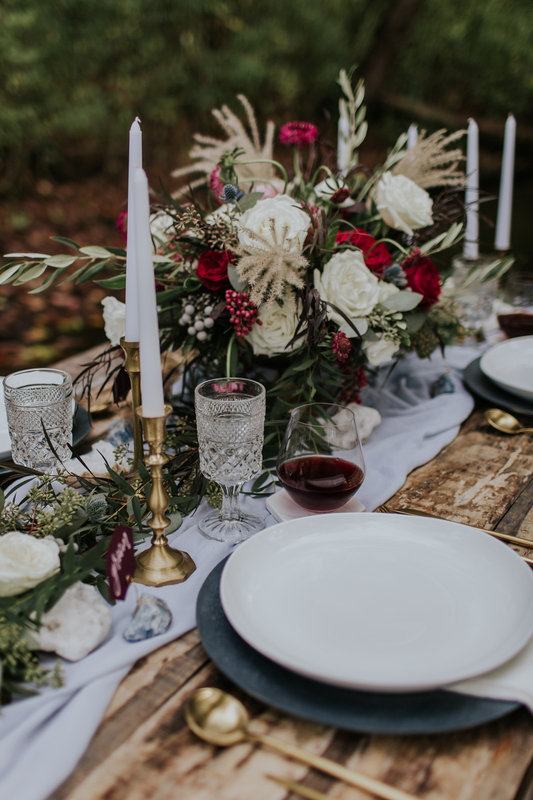 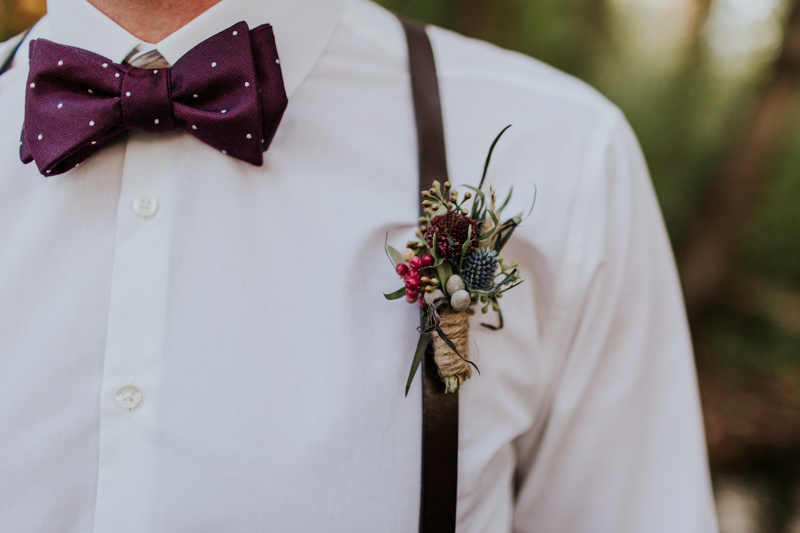 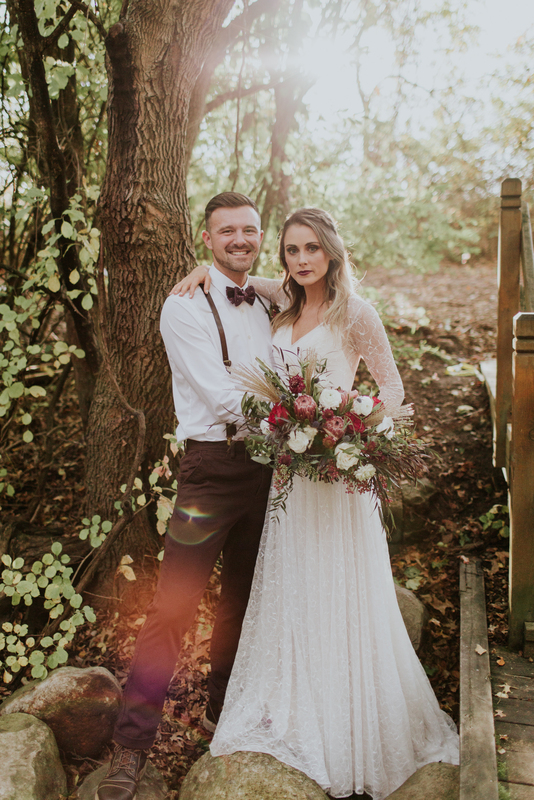 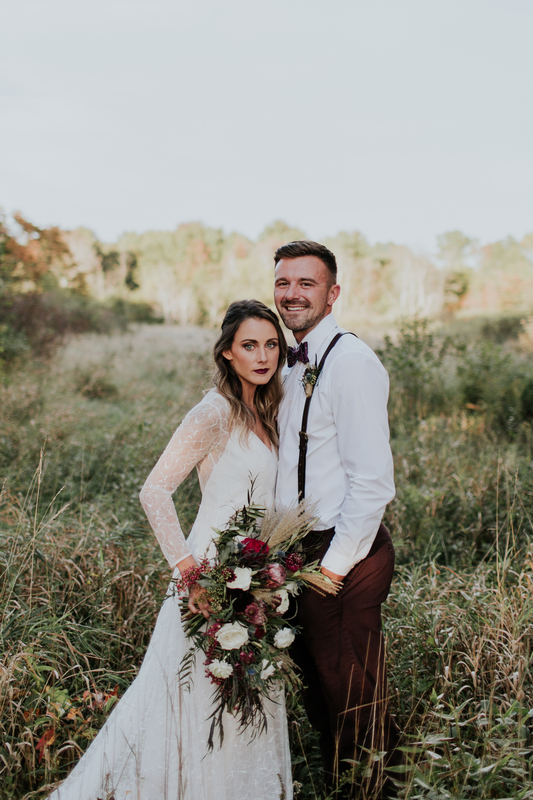 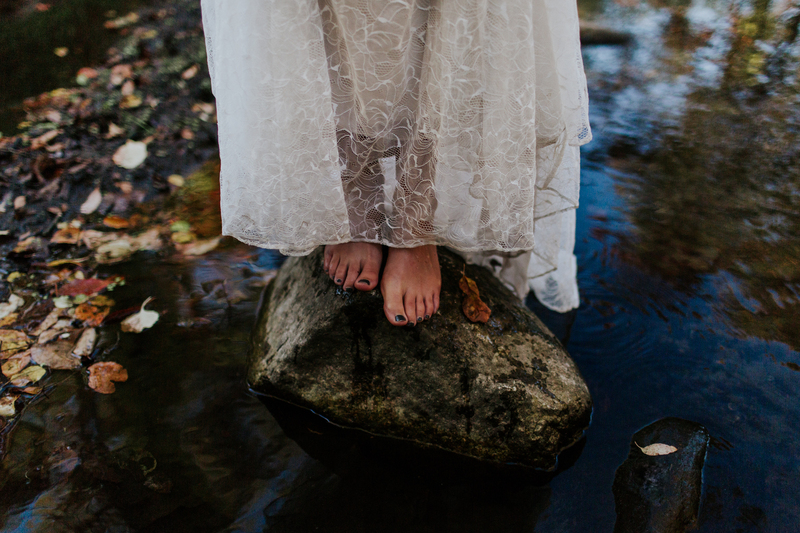 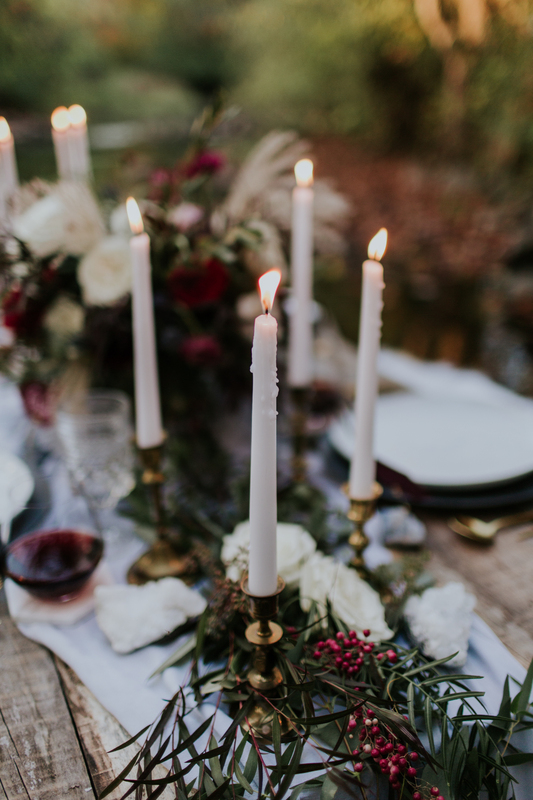 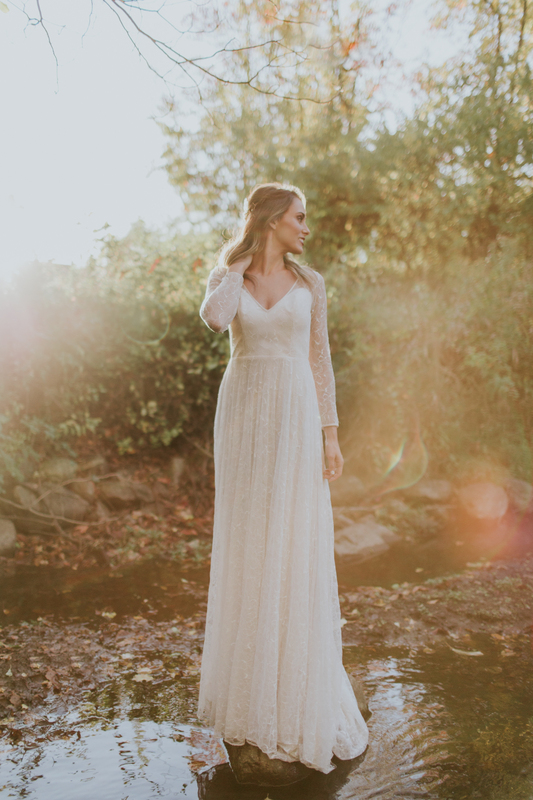 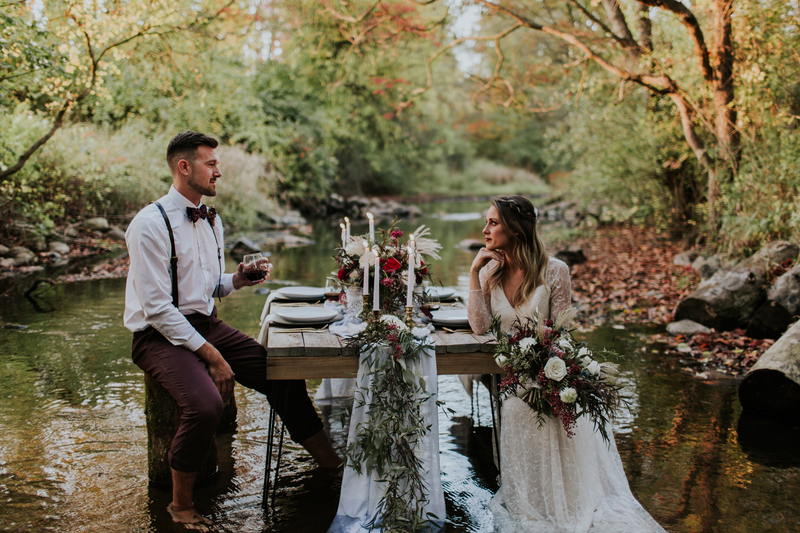 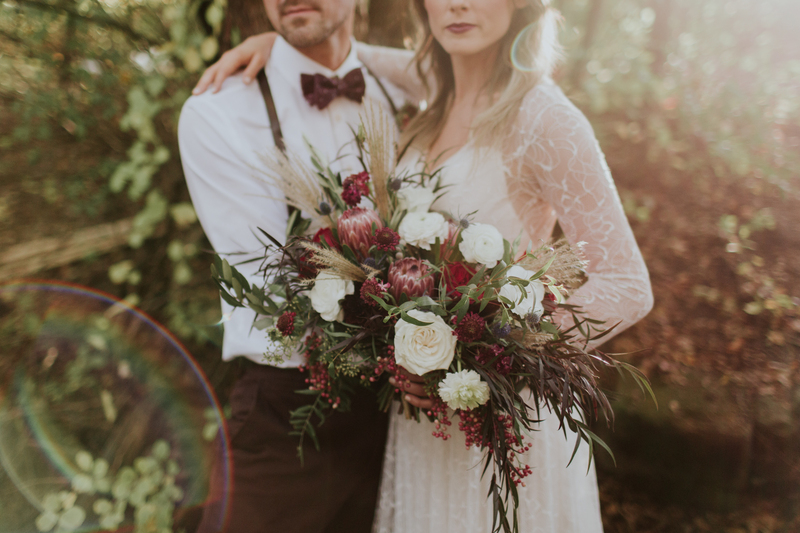 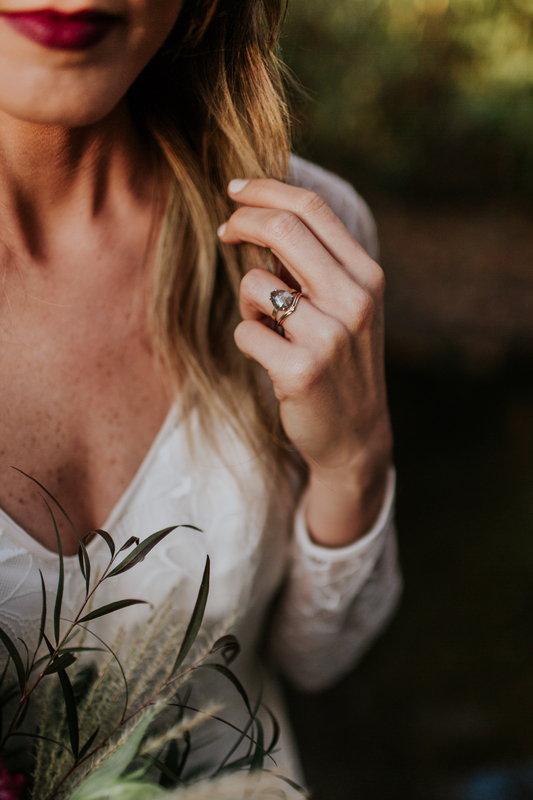 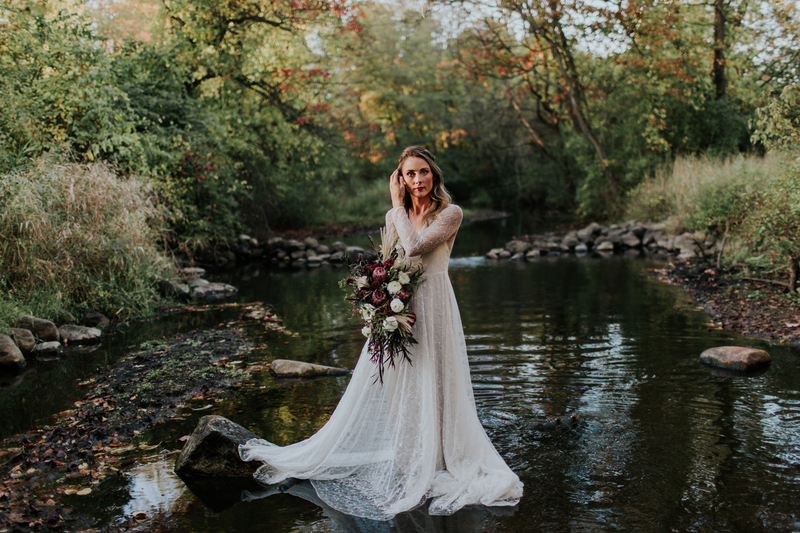 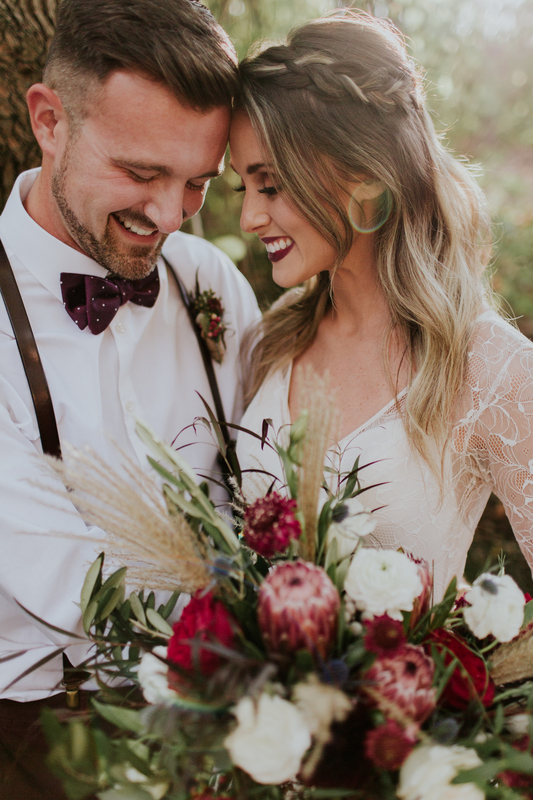 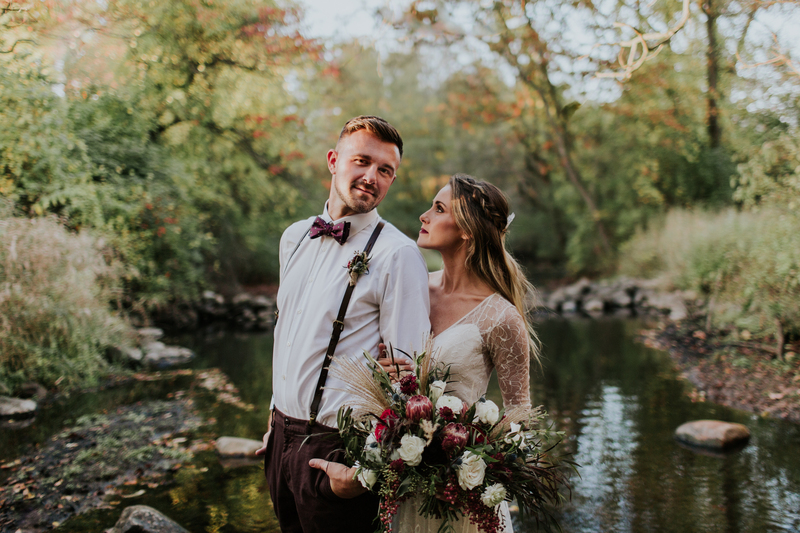 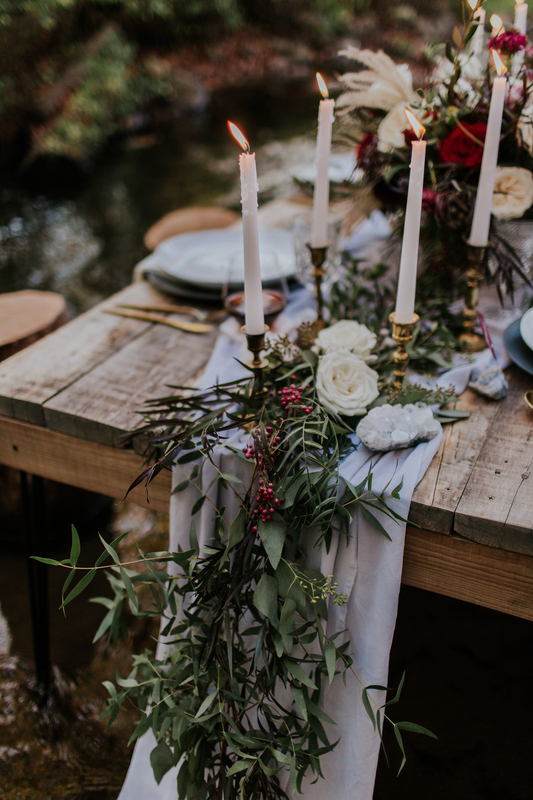 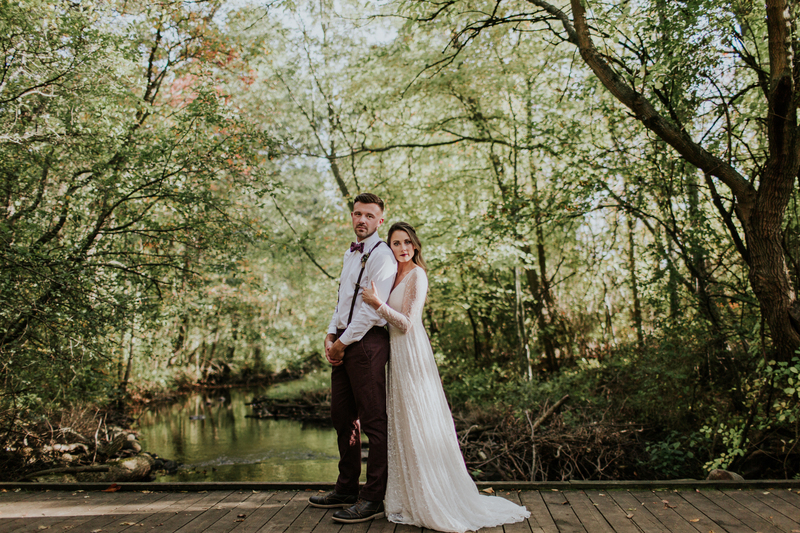 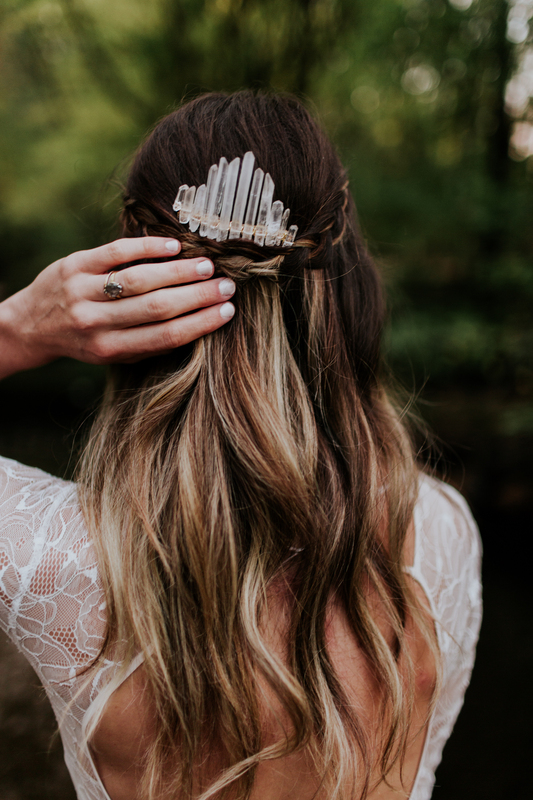 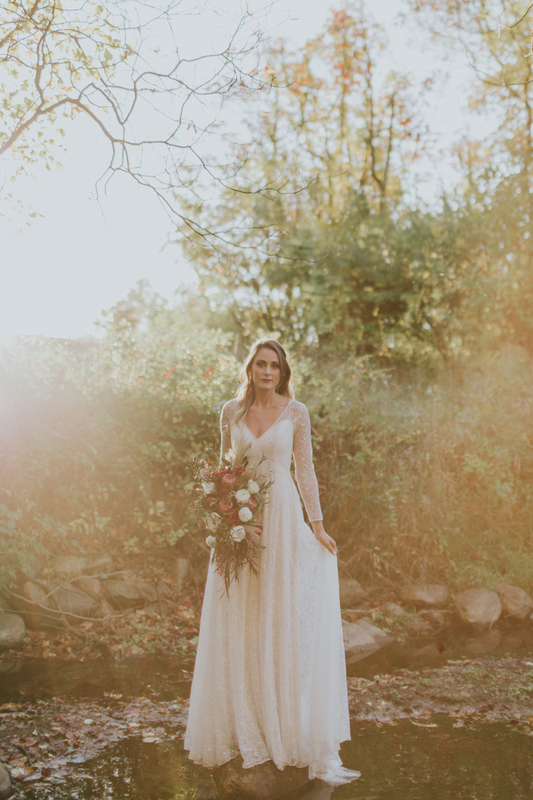 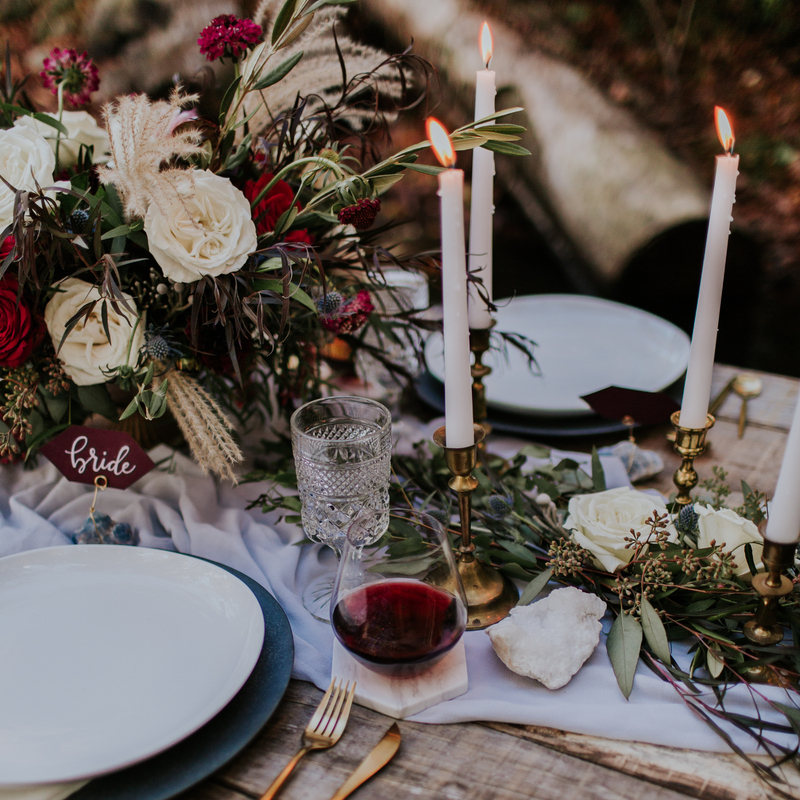 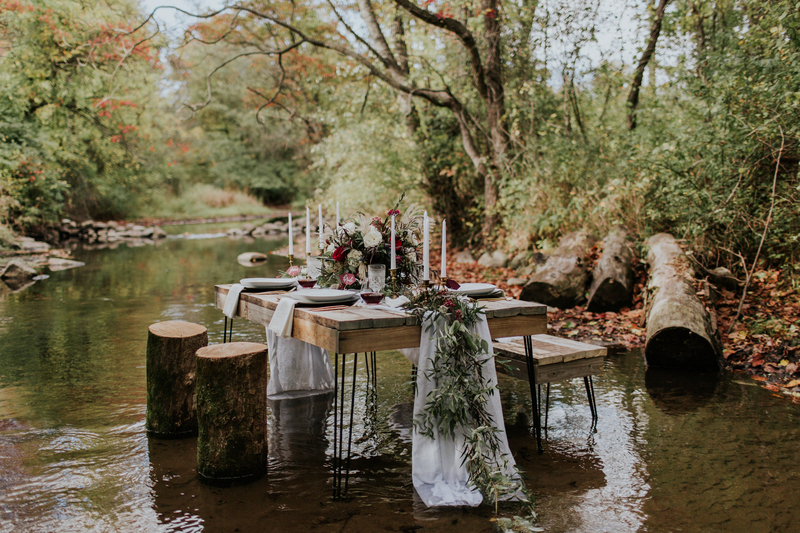 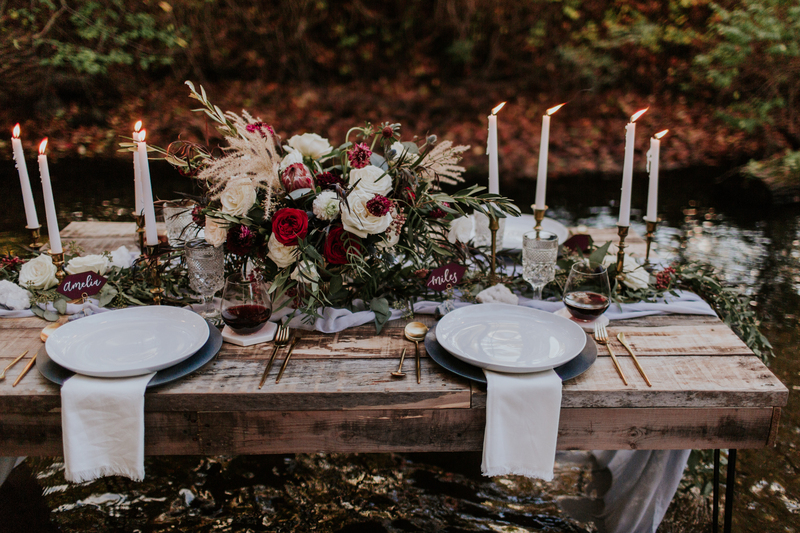 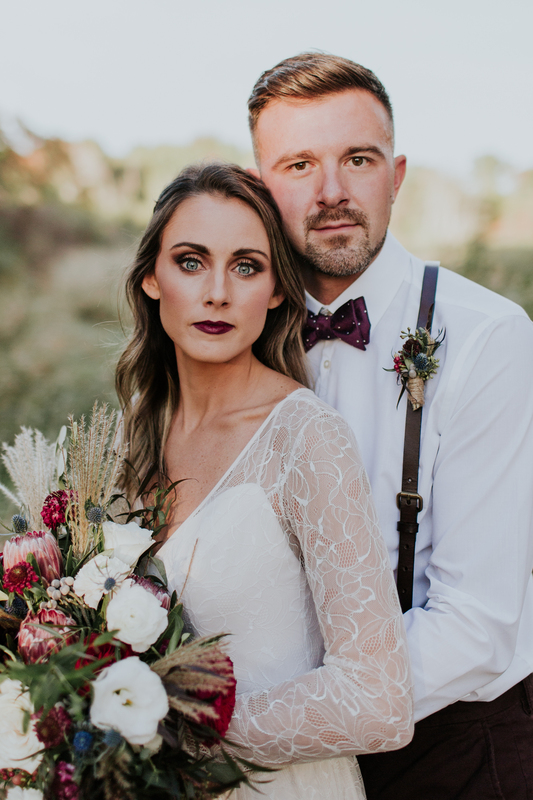 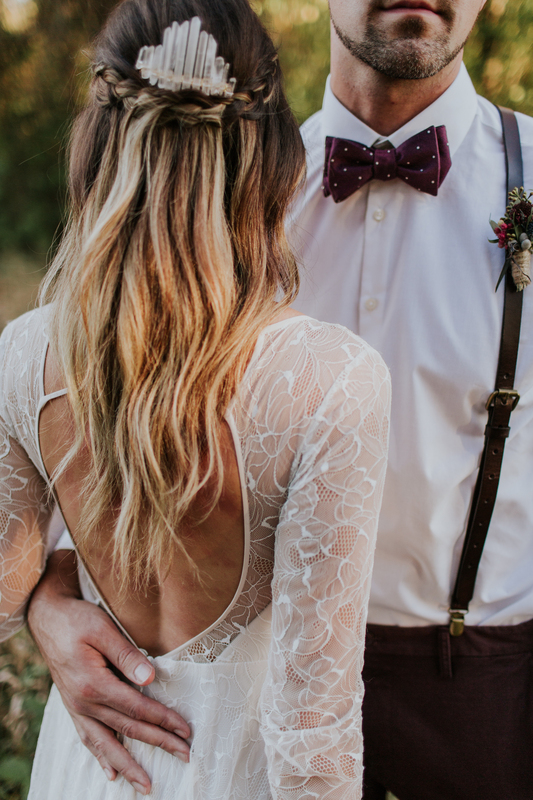 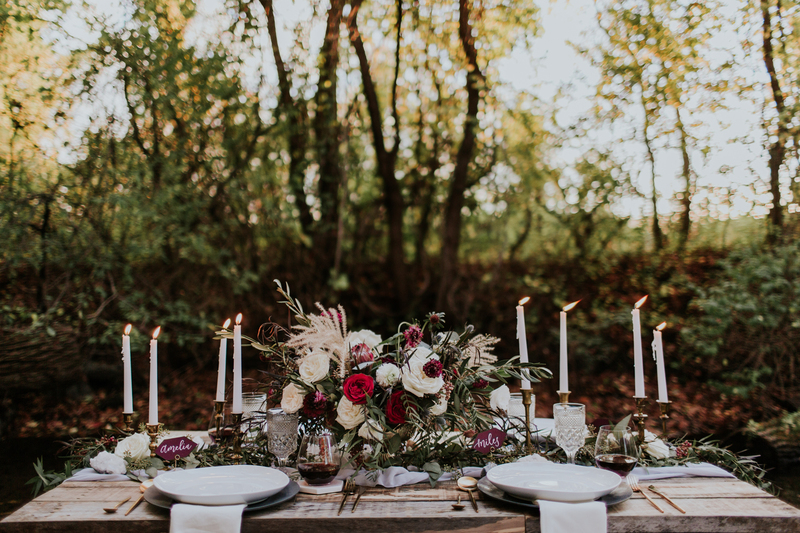 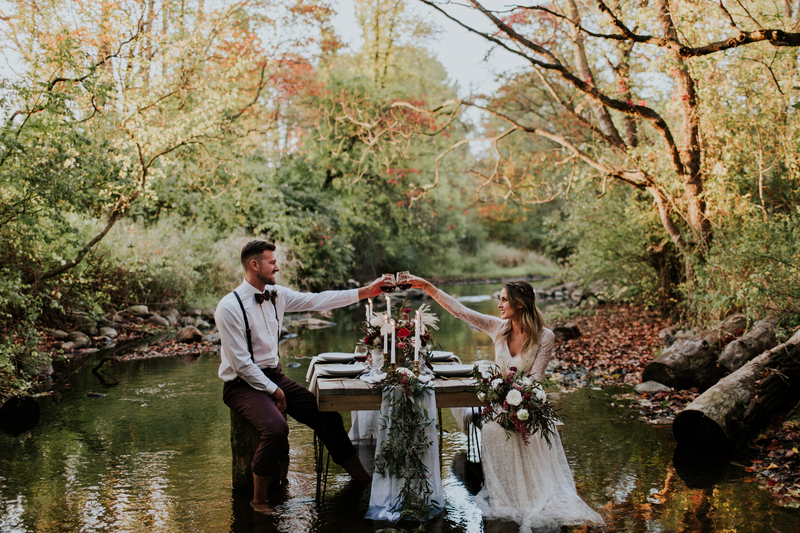 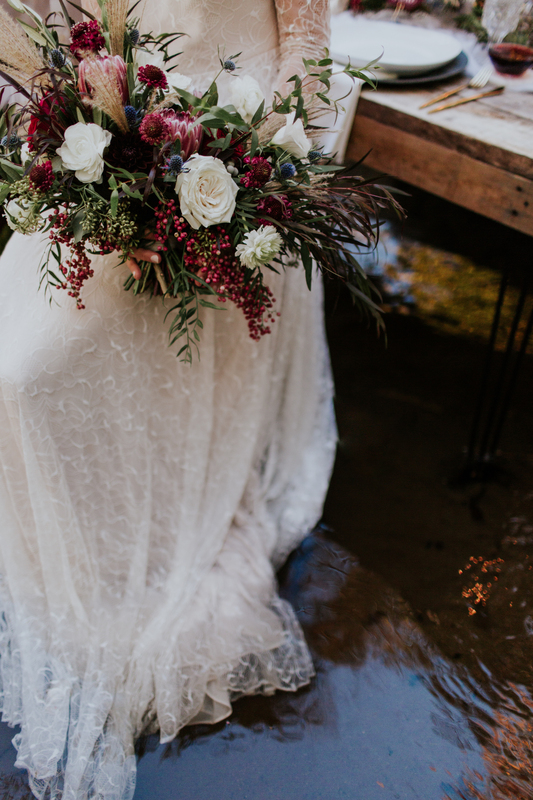 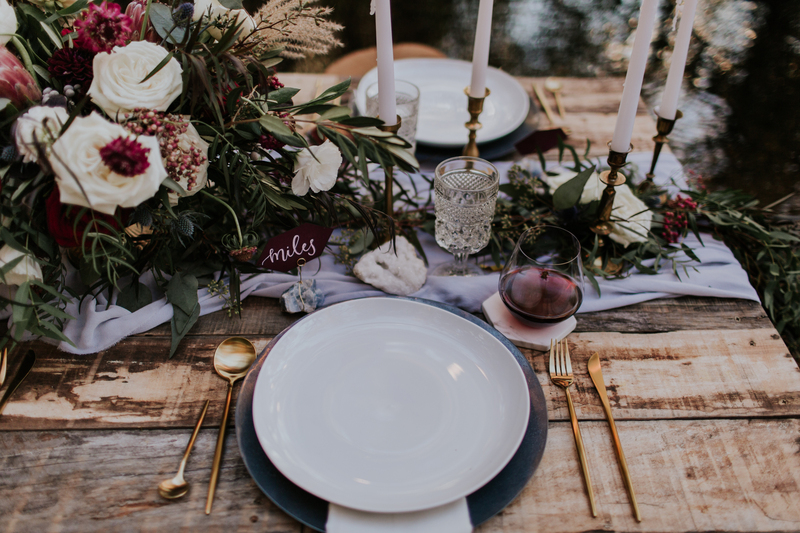 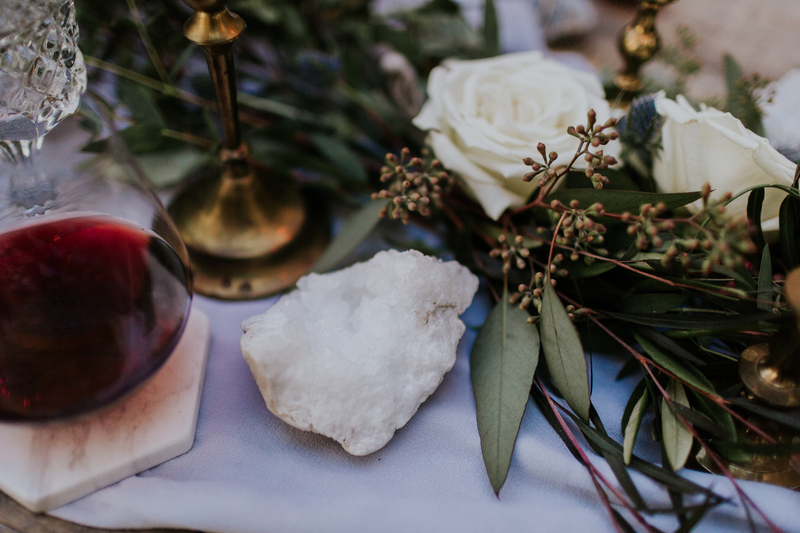 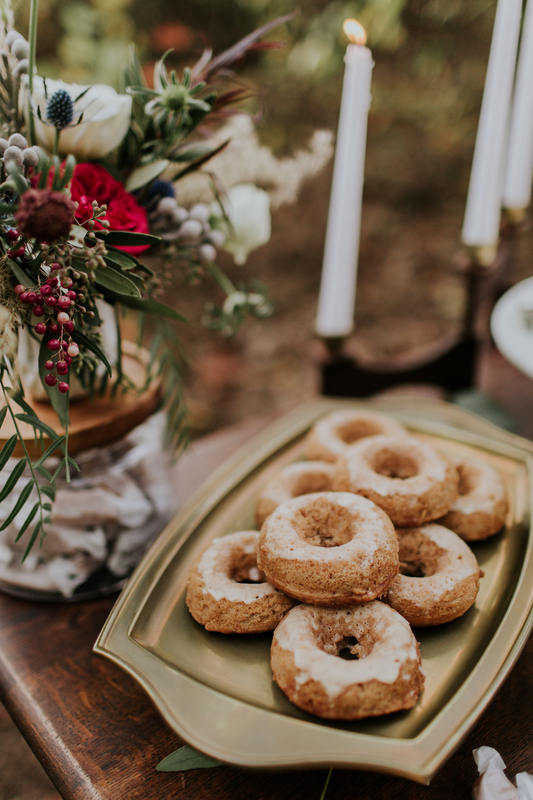 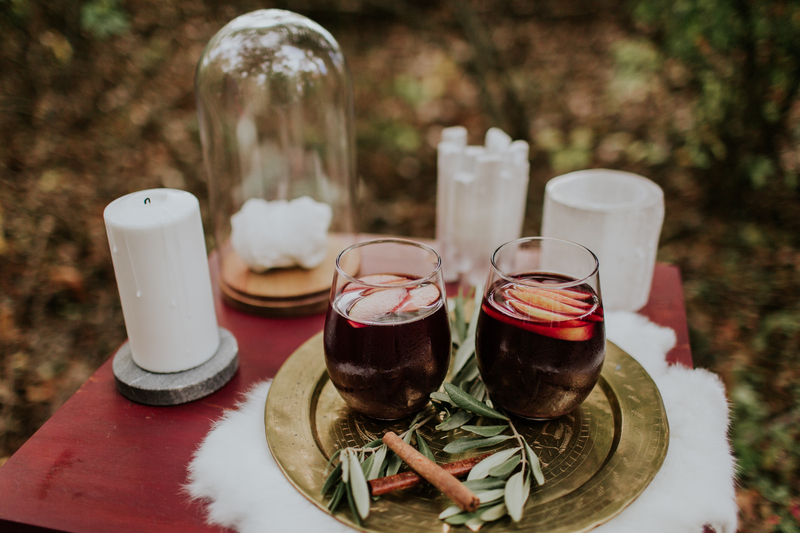 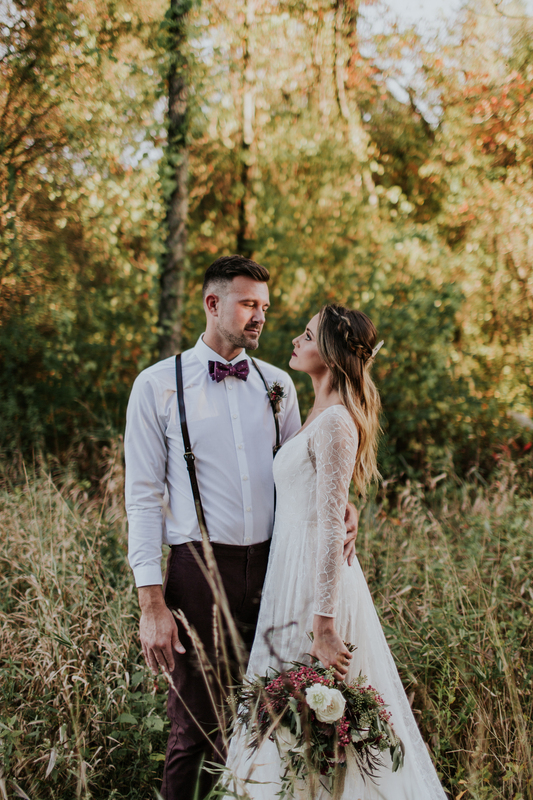 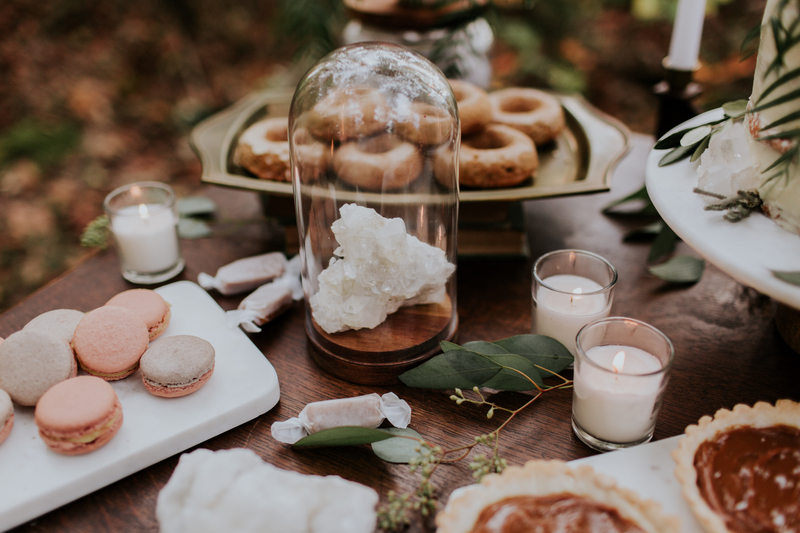 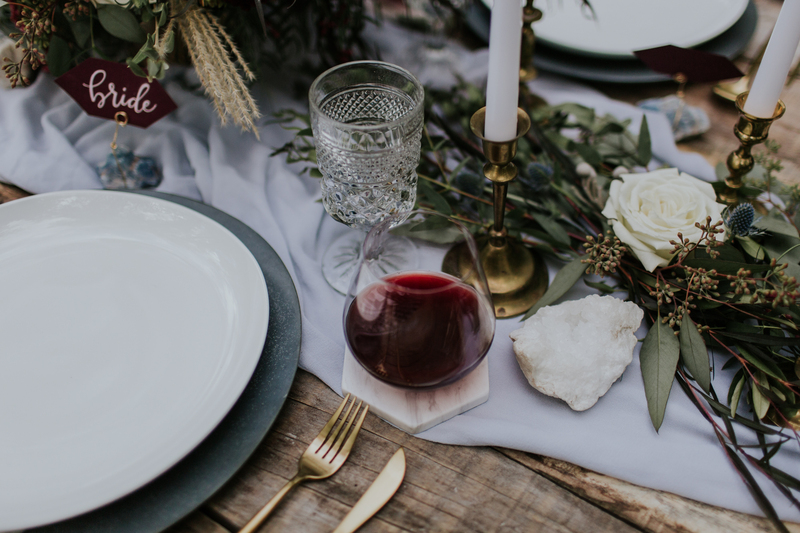 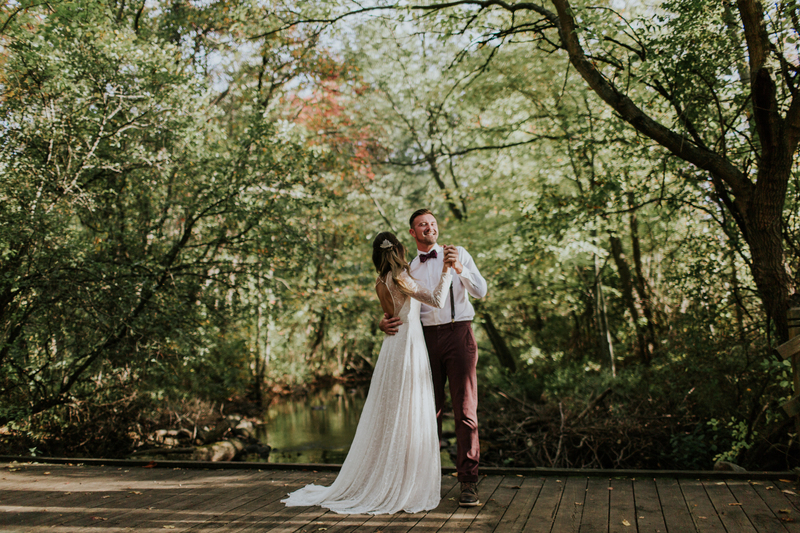 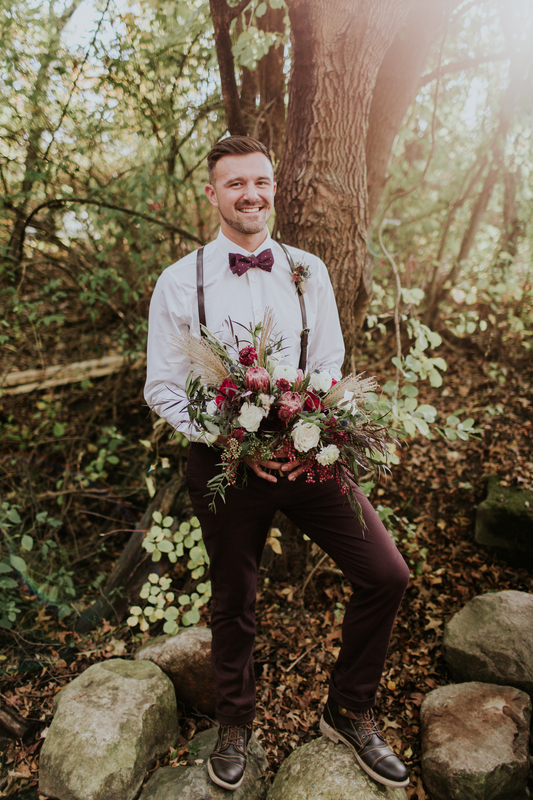 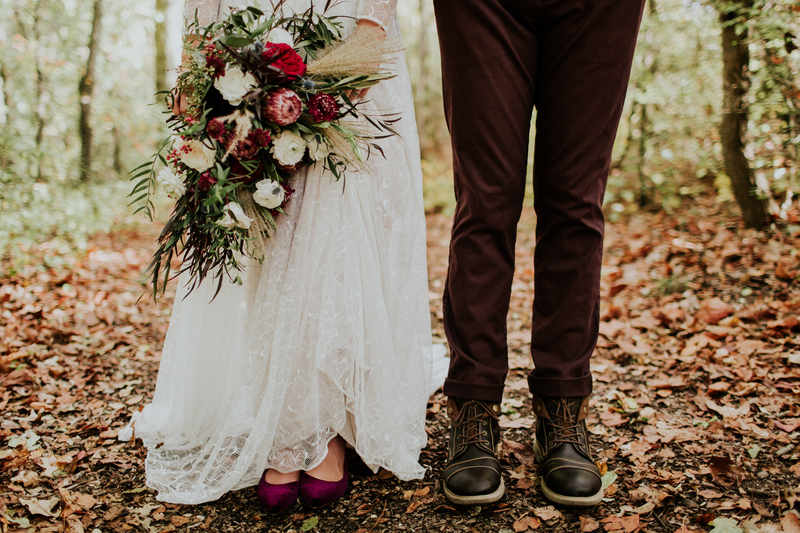 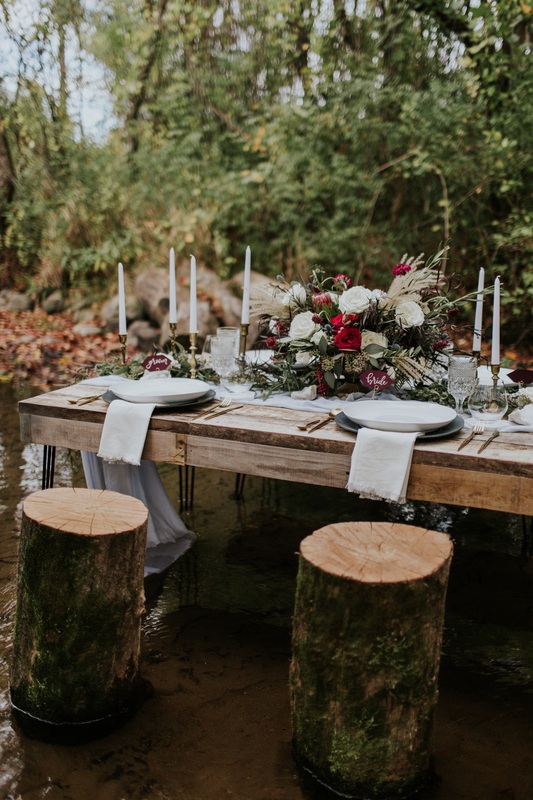 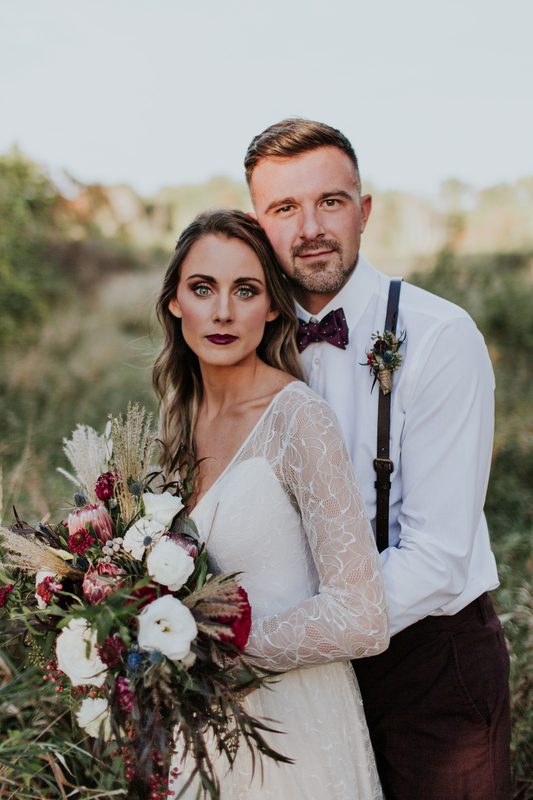 This earthy + luxe elopement inspiration was born from my love for fall + creeks. 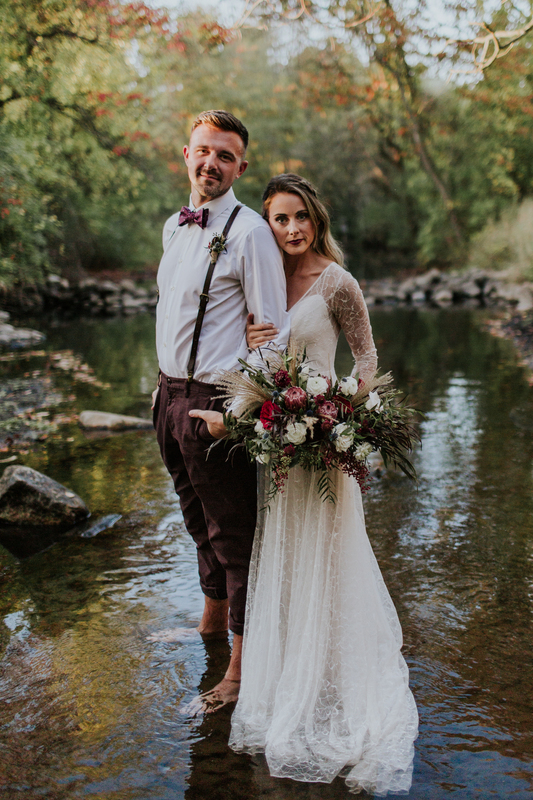 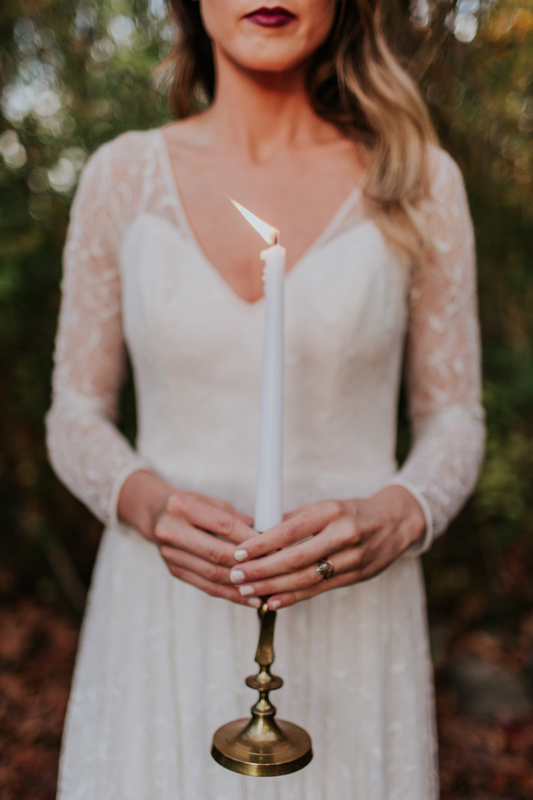 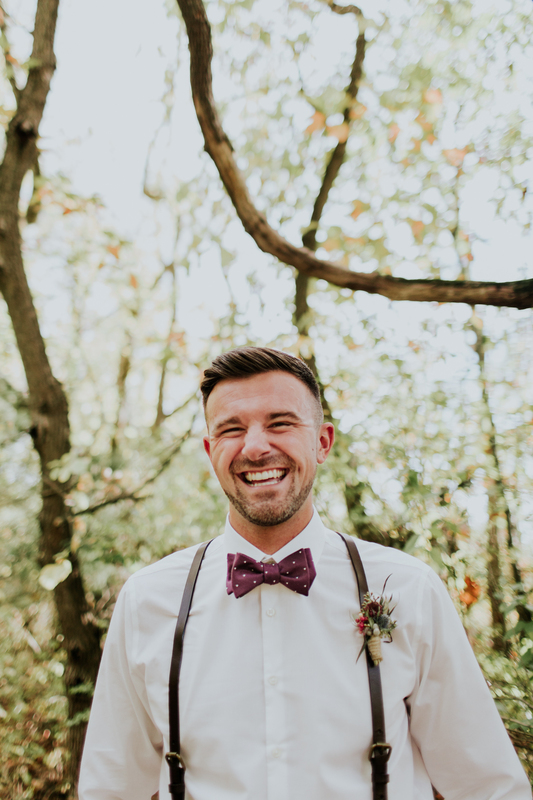 I planned + organized this elopement inspiration styled shoot for weeks. 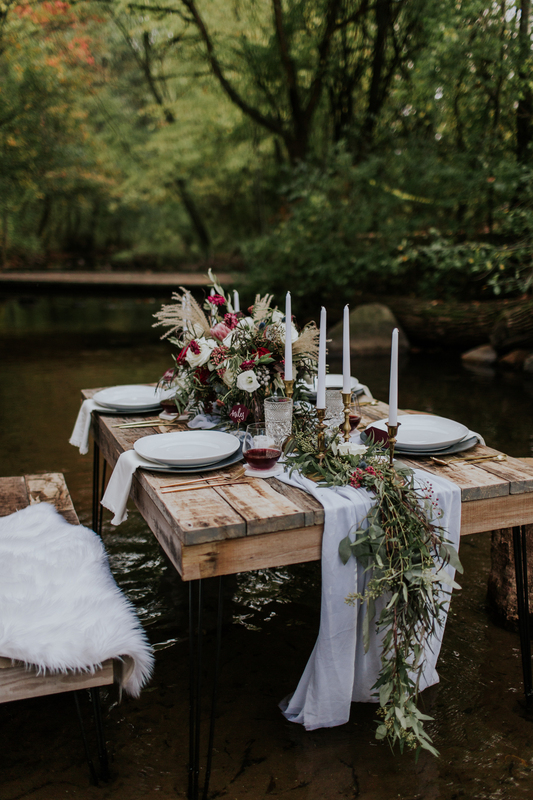 I sourced decor, sought out vendors that could execute my vision, and styled the whole thing. 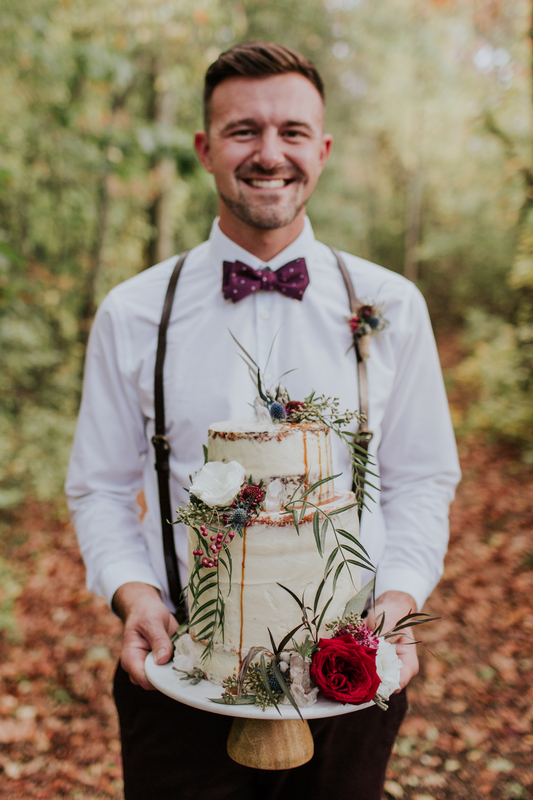 I wanted to create something totally unique. 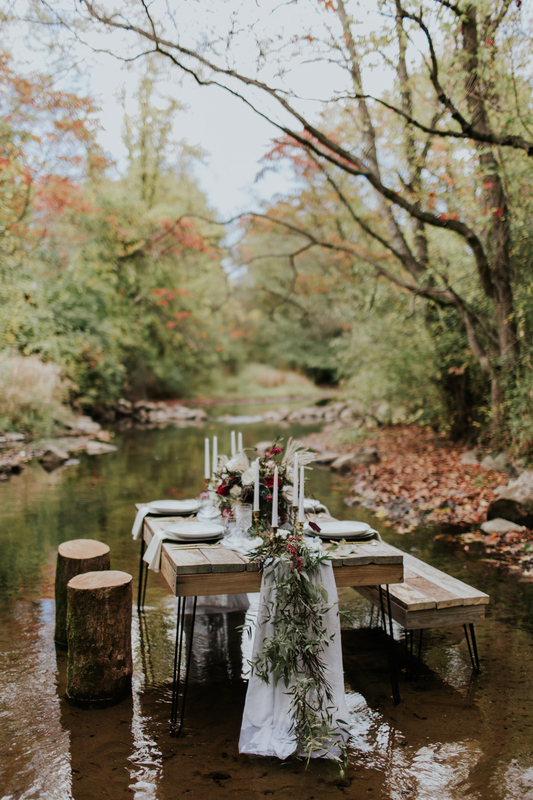 The idea that spawned this whole shoot was putting the table into a body of water; something I had never seen done, until now. 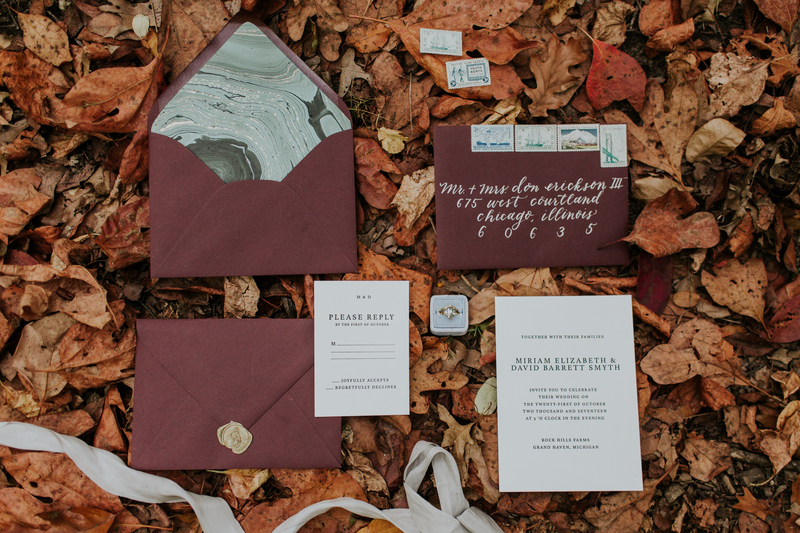 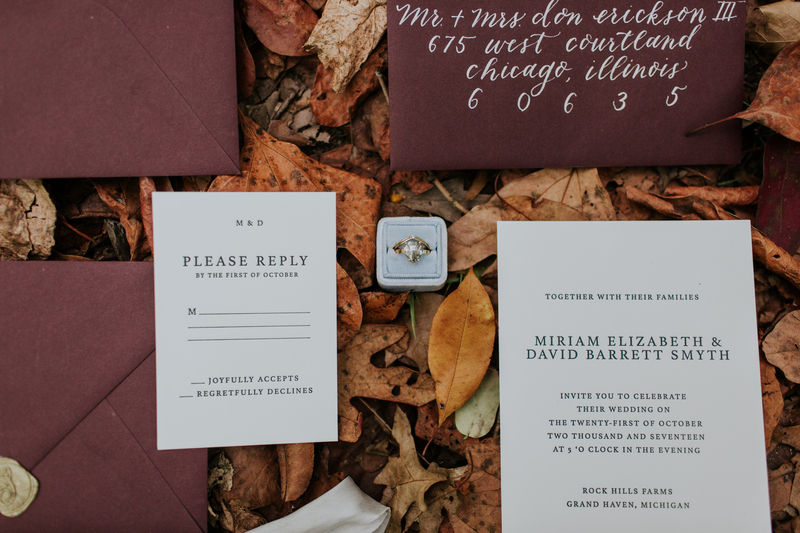 I chose burgundy and slate blue as accent colors to accompany the natural tones of fall. 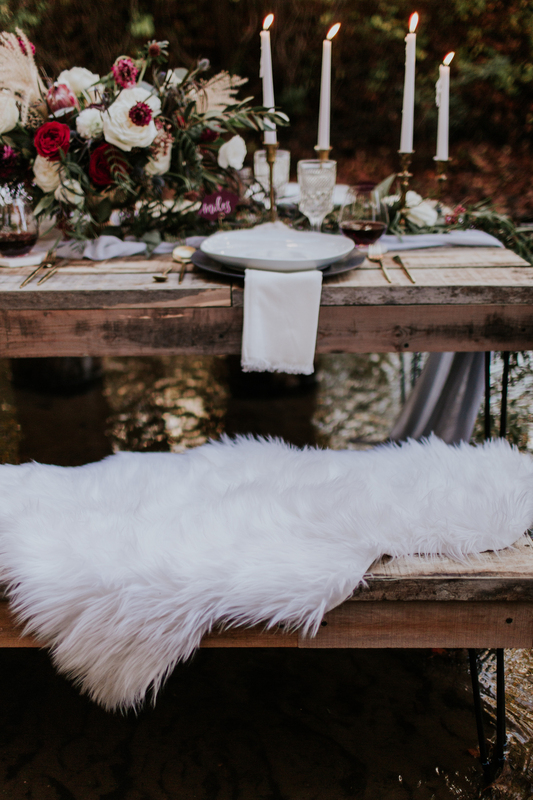 Luxe details and textures like fur, brass, and crystals/geodes completed the look. 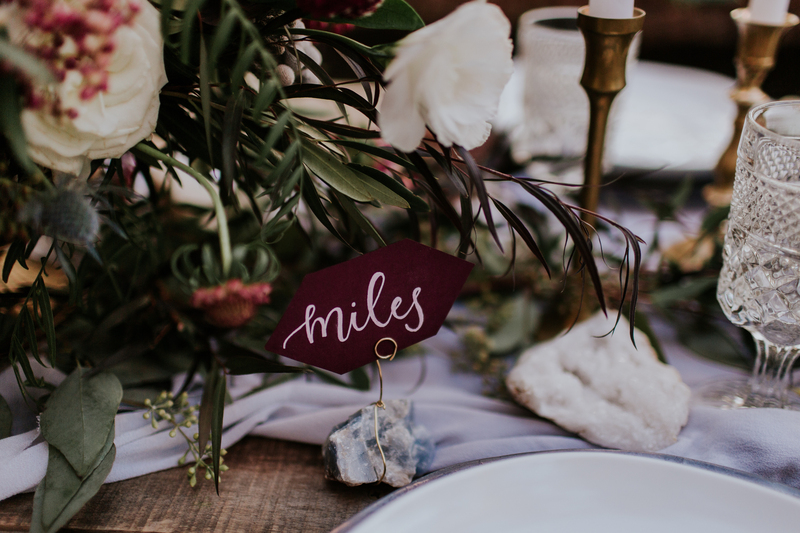 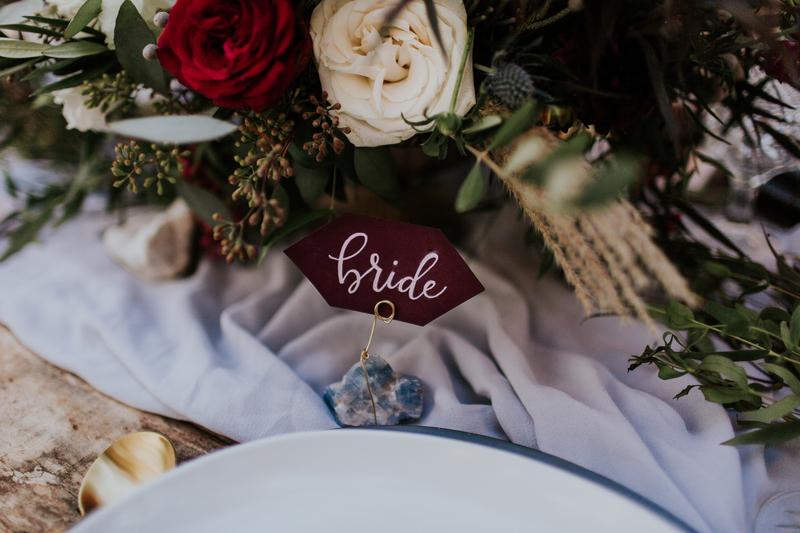 I have always loved rocks and natural elements when used for wedding decor. 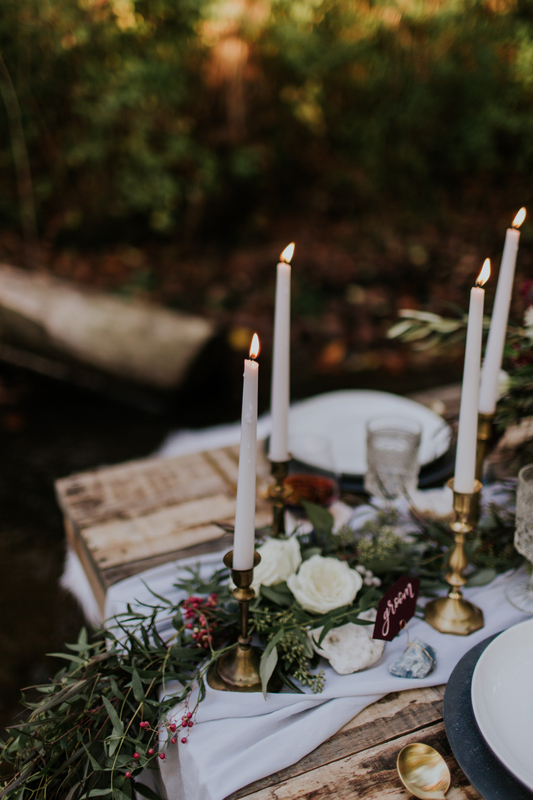 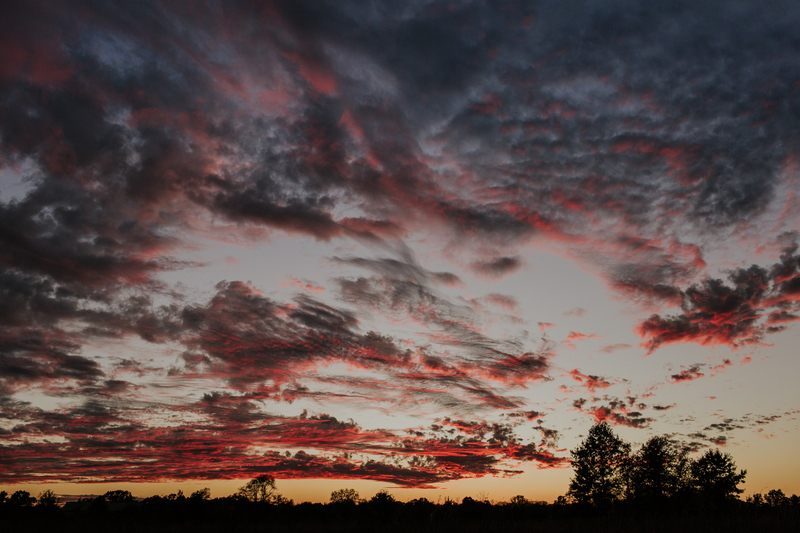 It’s an understated elegance that let’s the beauty of nature around speak for itself. 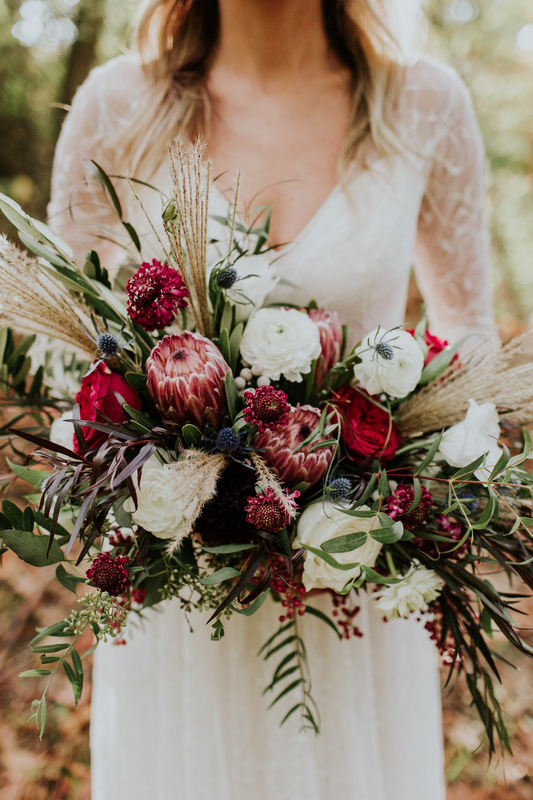 I partnered with Leah Bayes of LB Floristry in the early stages of planning. 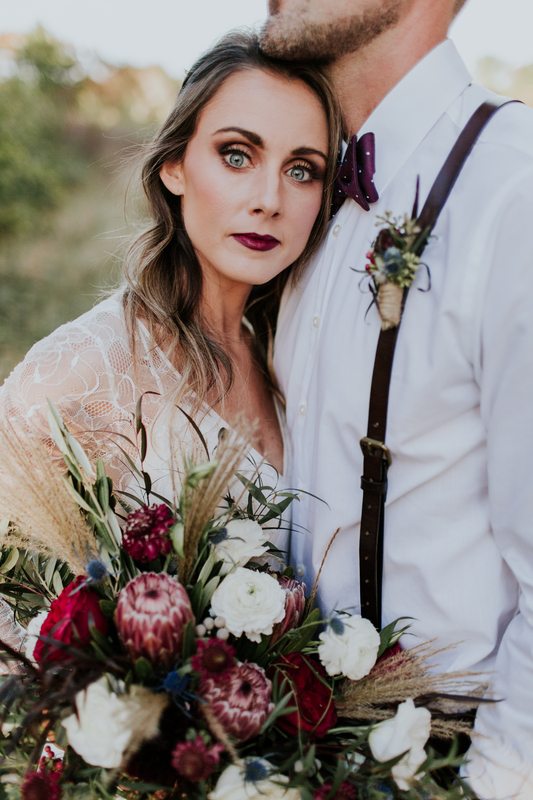 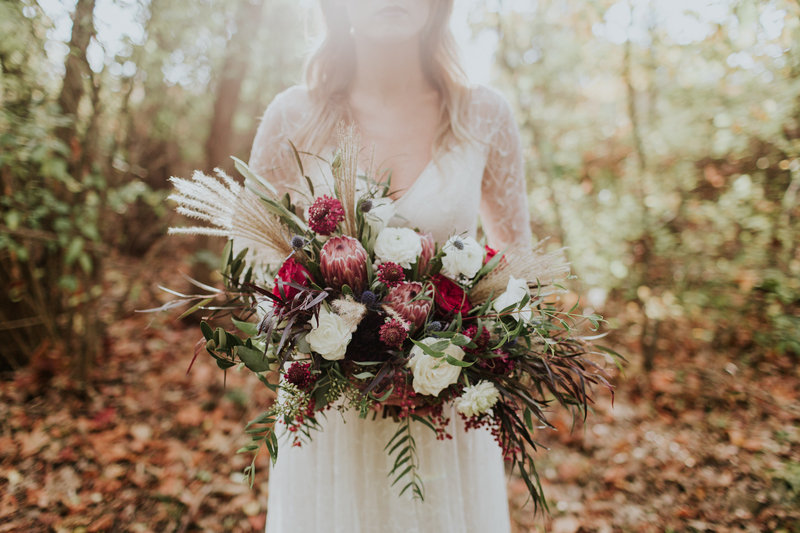 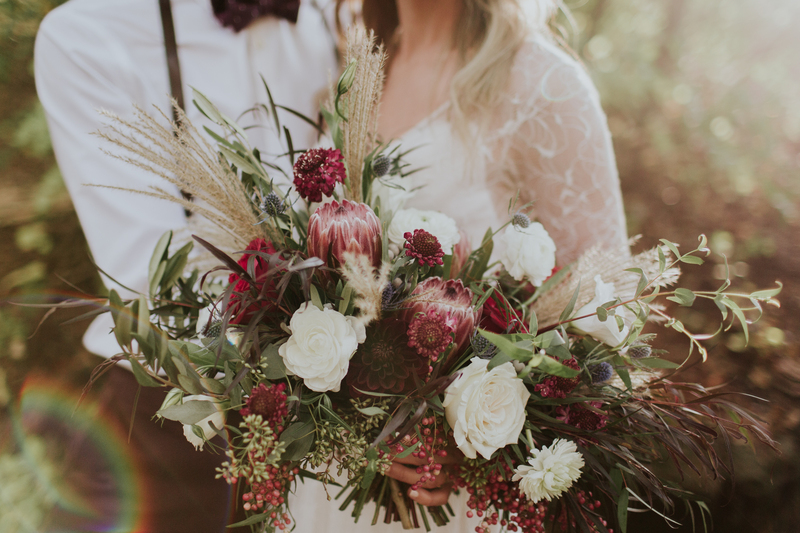 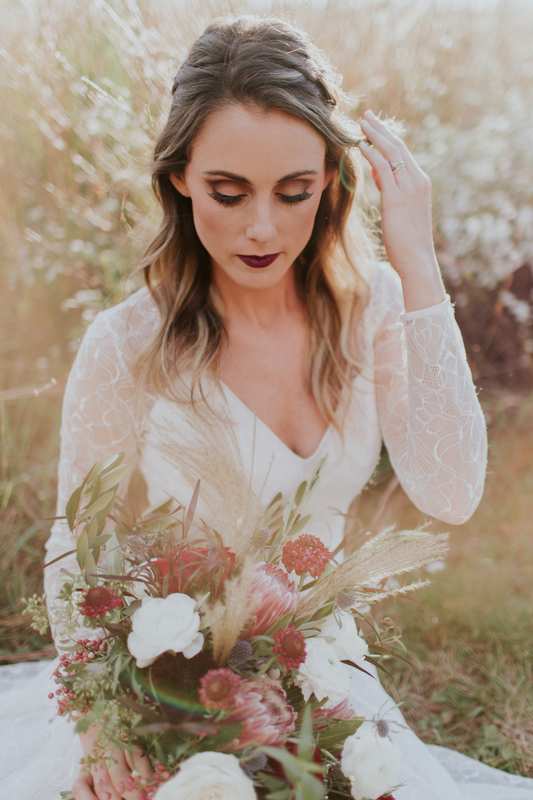 On the day of, she worked her magic and created the most beautiful textural + wild fall bouquet, complete with burgundy proteas. 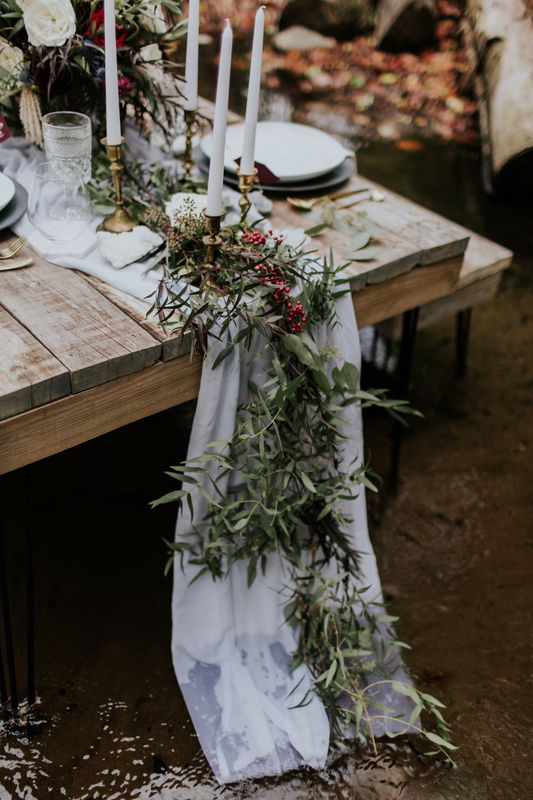 Her table arrangement and the dripping greenery really brought my table to life. 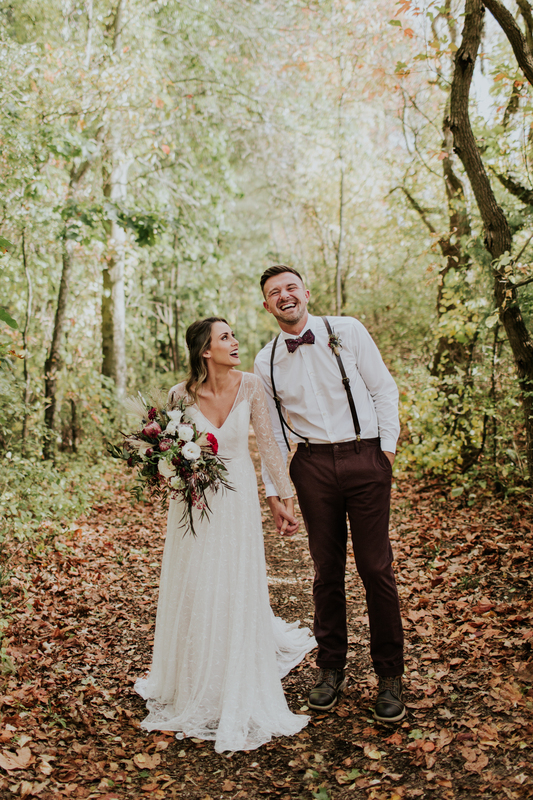 I could not have done this without her! 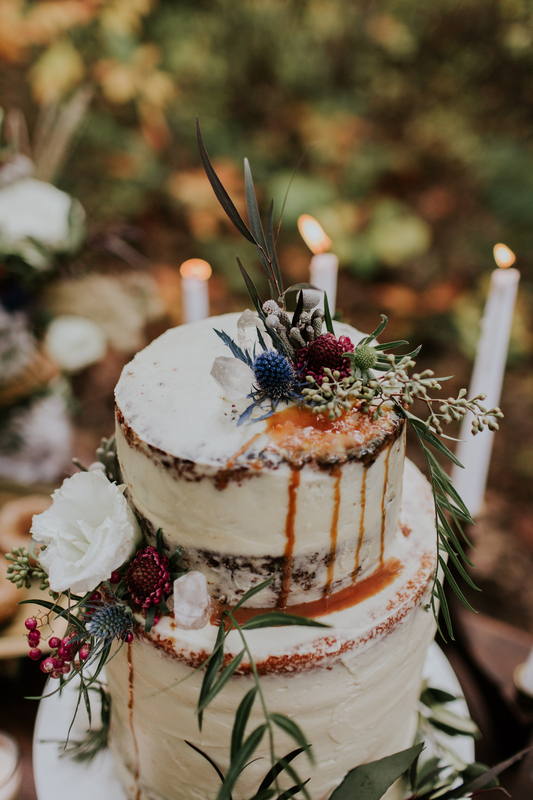 Melissa Miller of Sweet Melissa Desserts came through with her signature carrot cake, in a semi-naked caramel drip look. 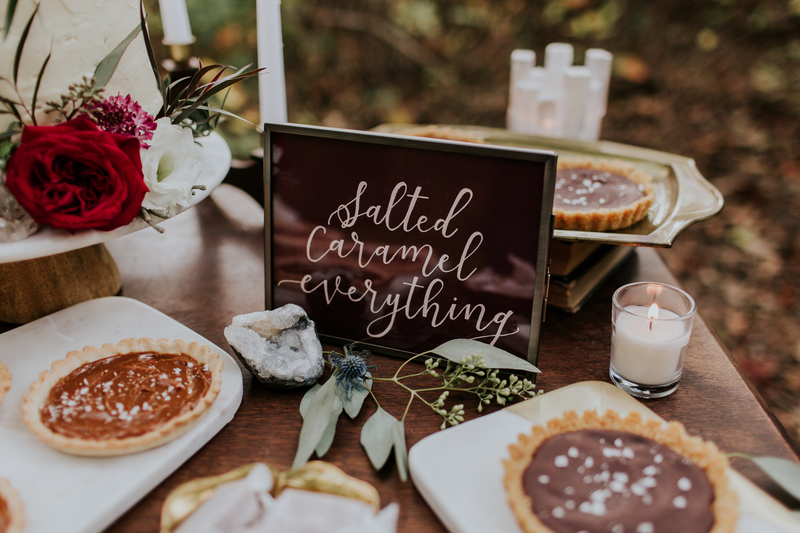 She also provided an assortment of yummy salted caramel desserts and her handmade caramels. 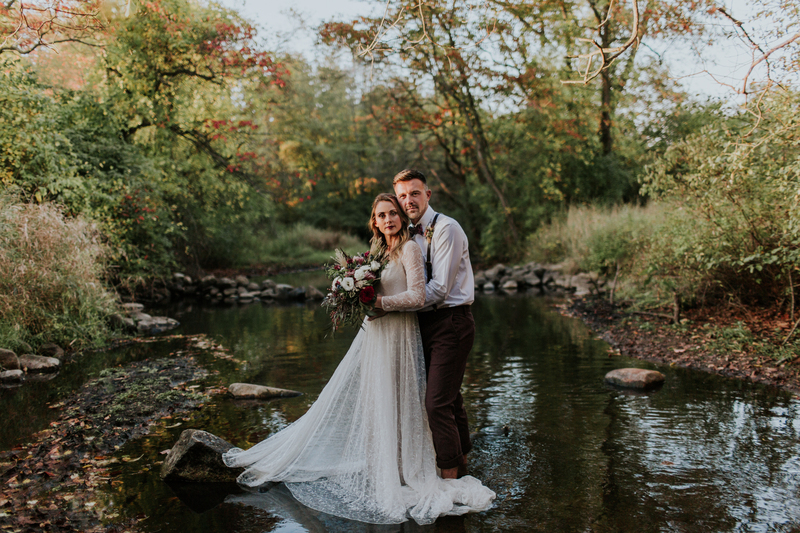 The day could not have gone better, and I can’t thank my team of topnotch vendors enough. 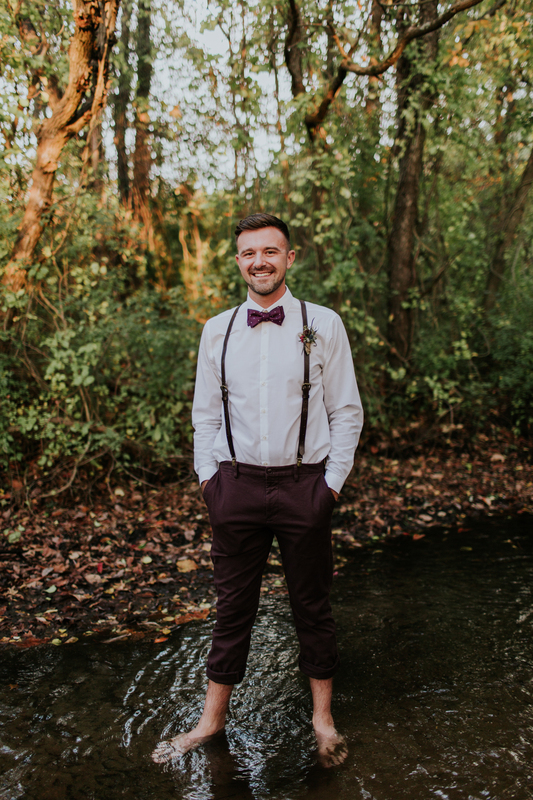 Please take the time to check each one out!